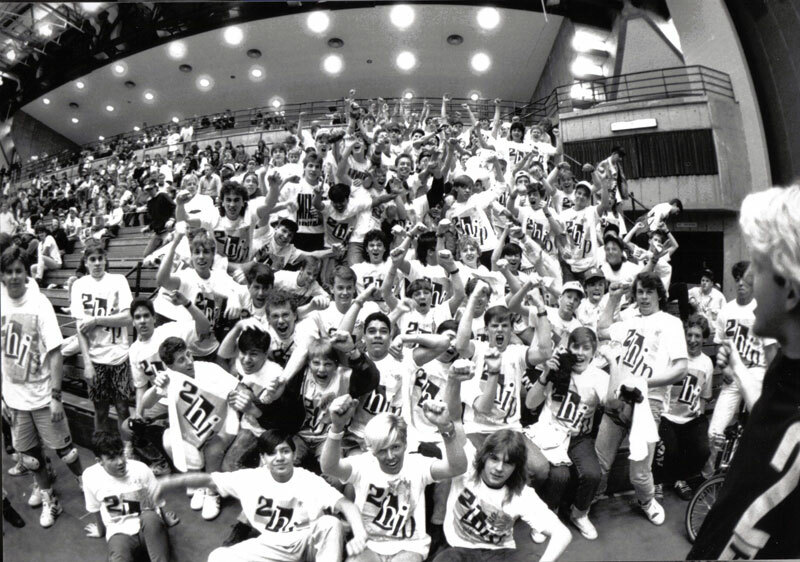 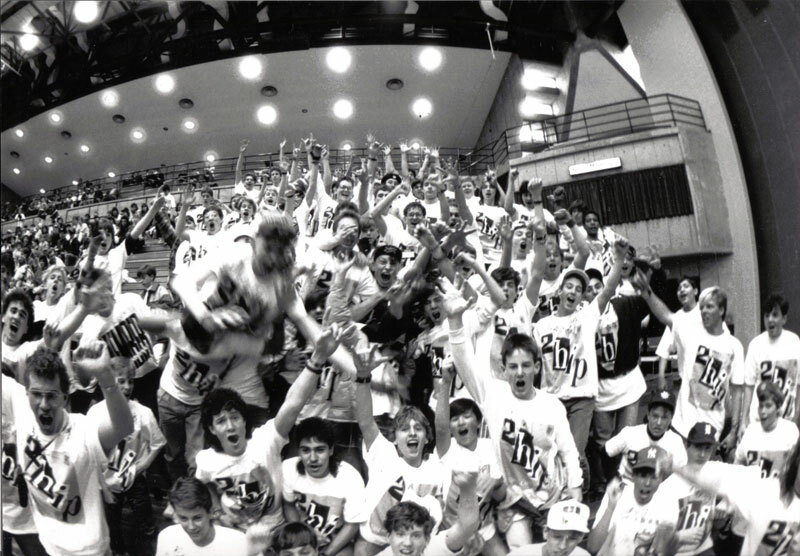 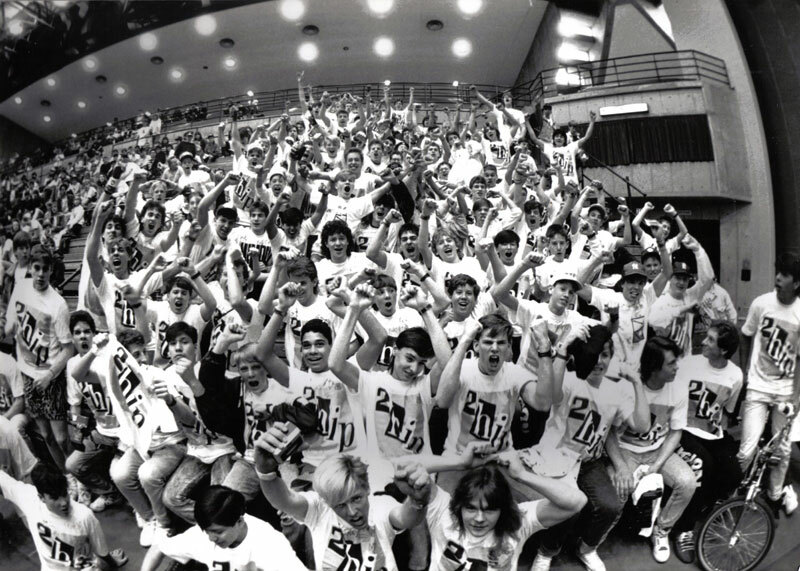 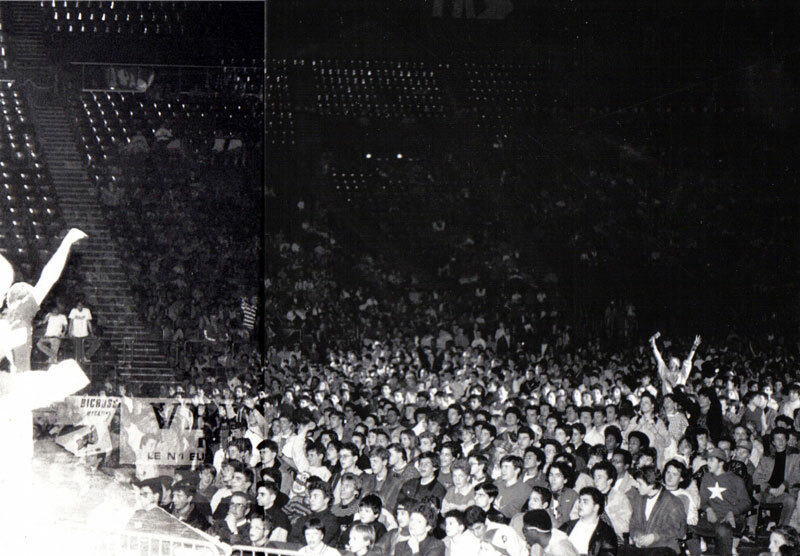 Energy as the year before X2, same crowd X2, same shredding X2. 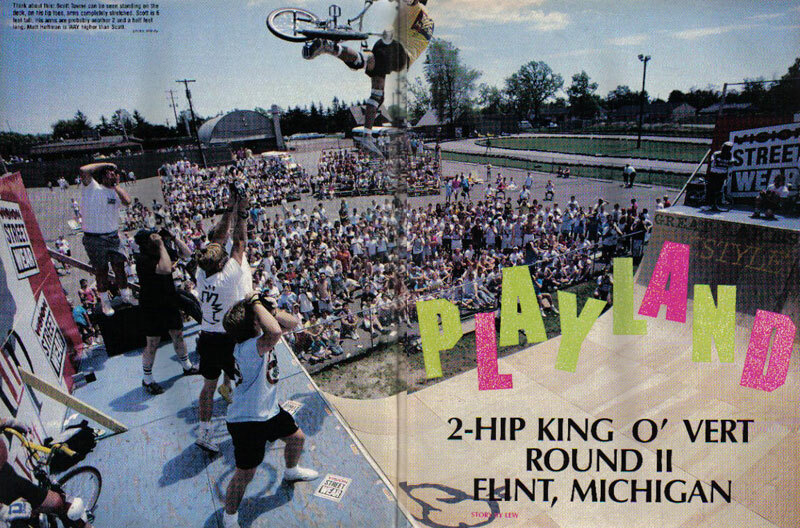 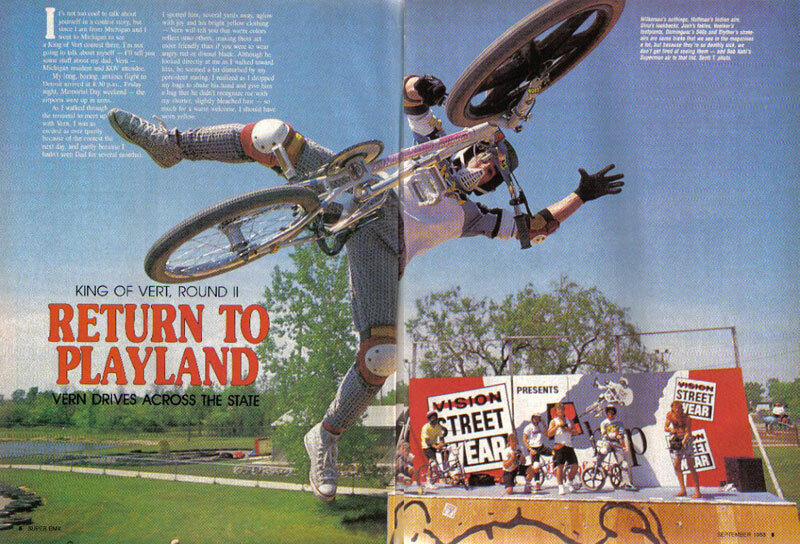 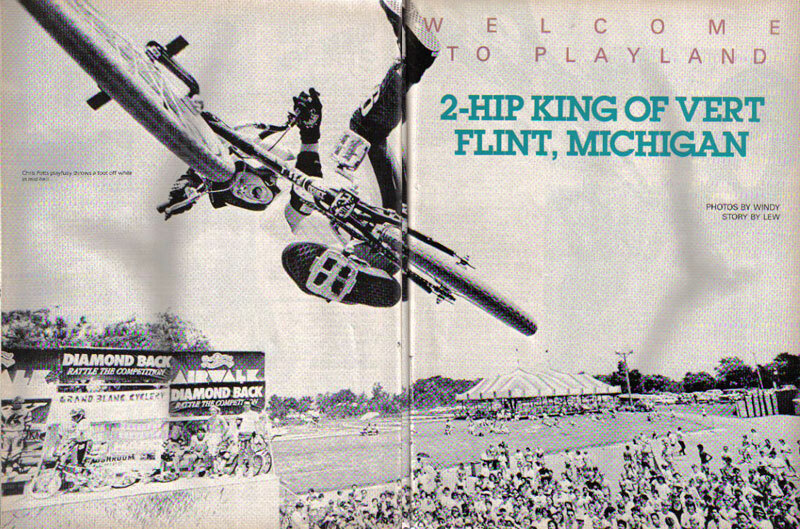 BMX was alive and well in Michigan. 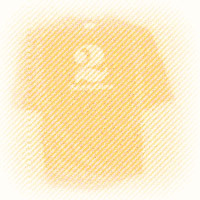 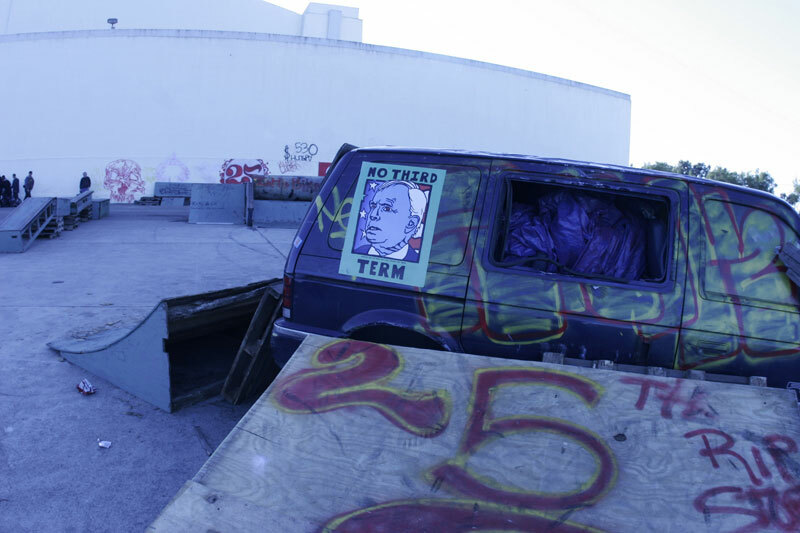 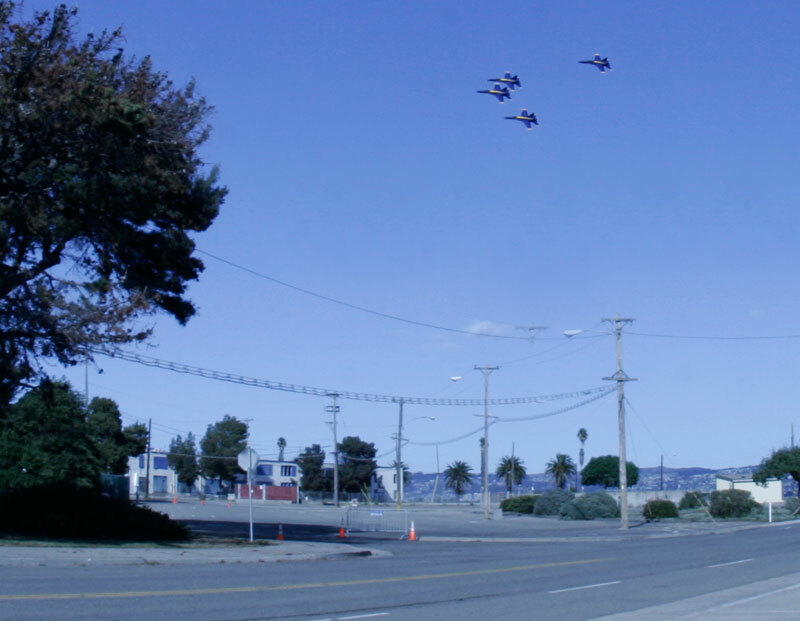 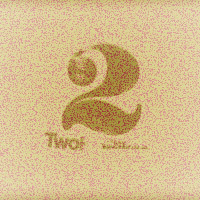 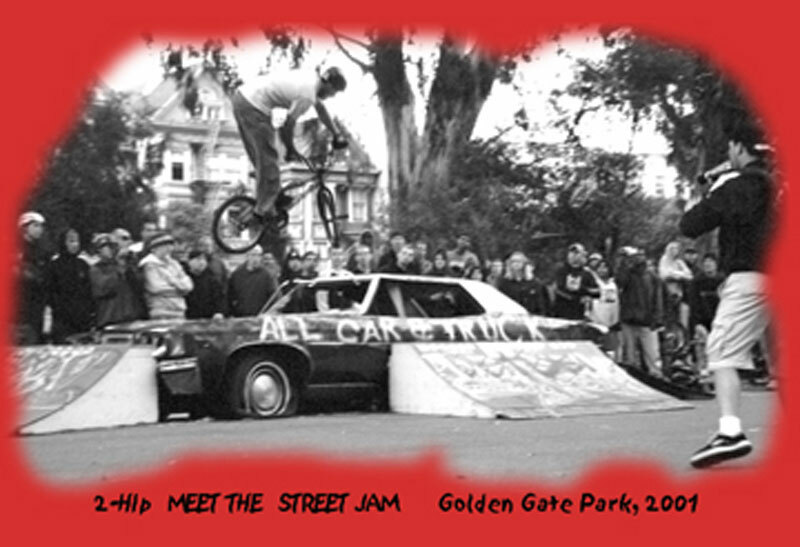 "Another 2hip event run effectively with action that left me speechless…" Lew, Freestylin'. 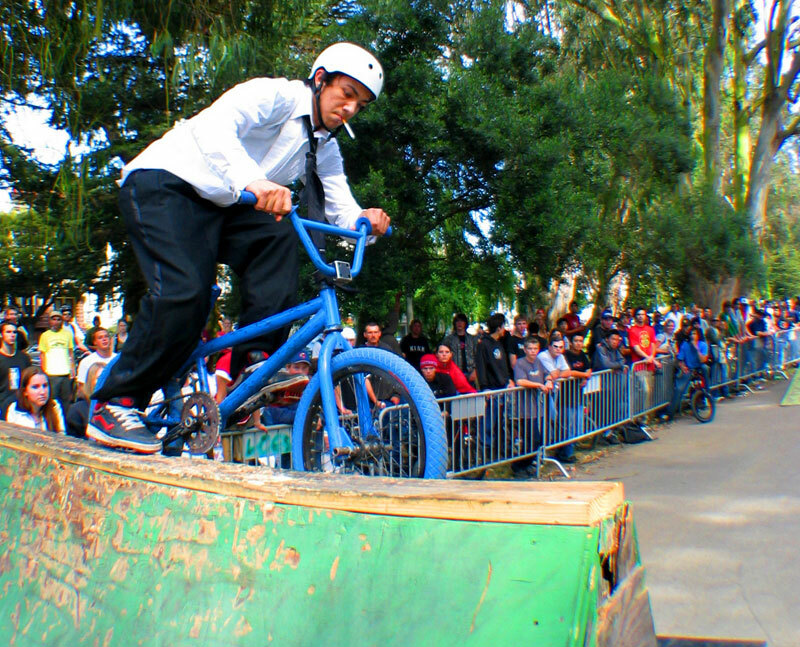 American University... 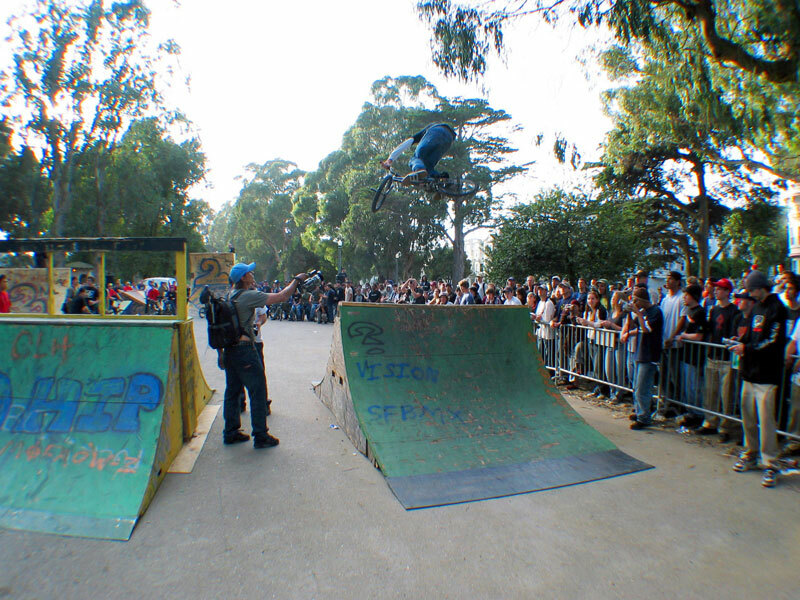 The normal shredding going down for some 2000 spectators. 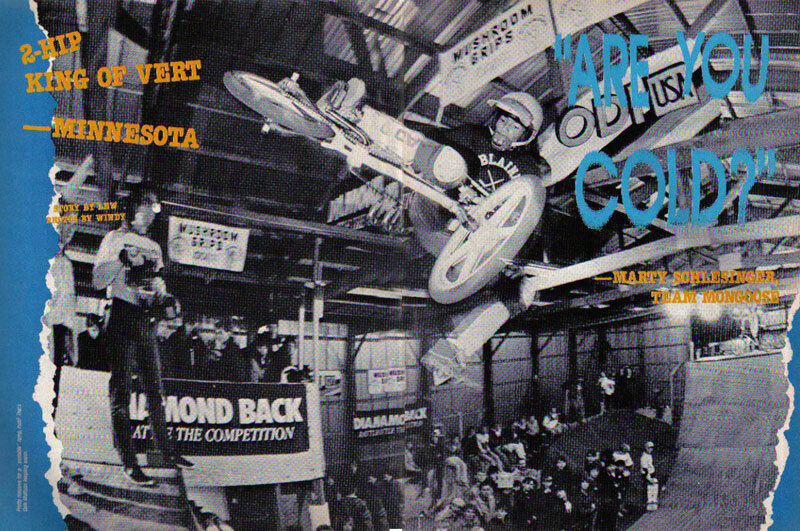 Bartlett's backyard. 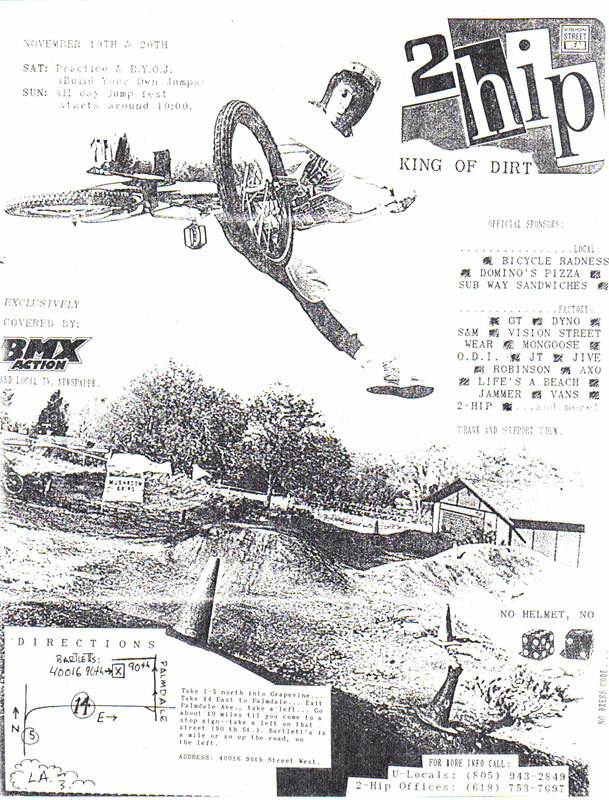 The 1st King of Dirt ever held. 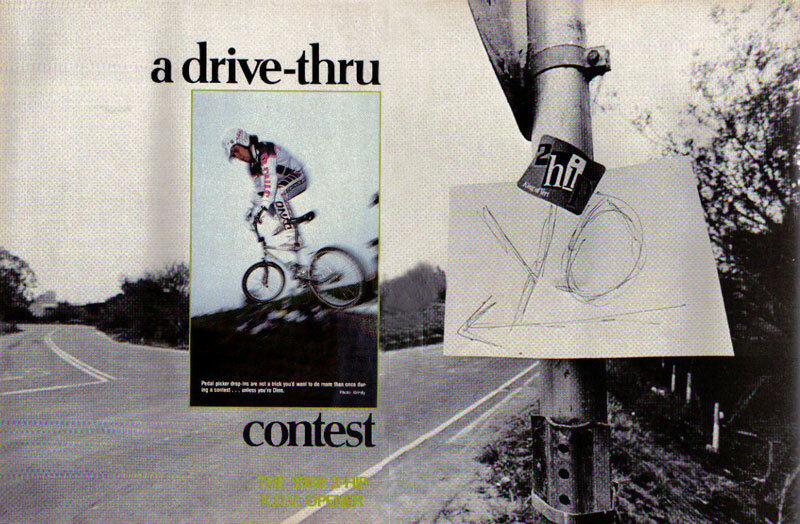 Tim 'Fuzzy' Hall wins it. 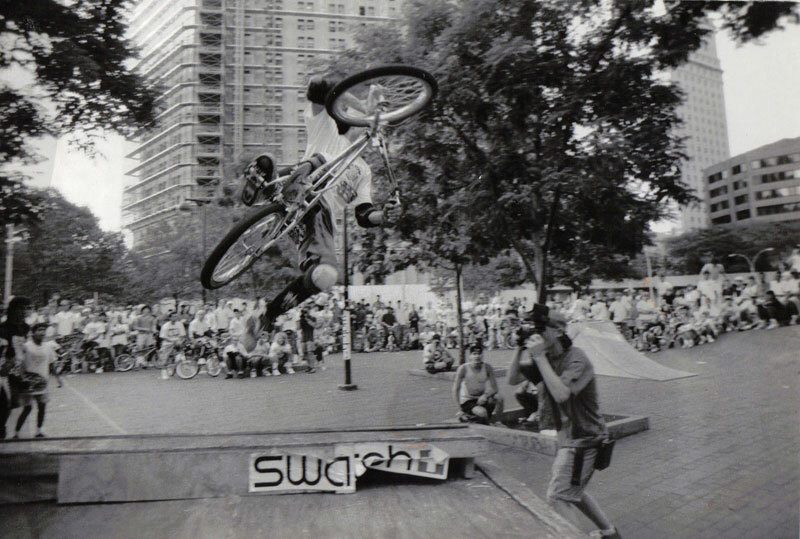 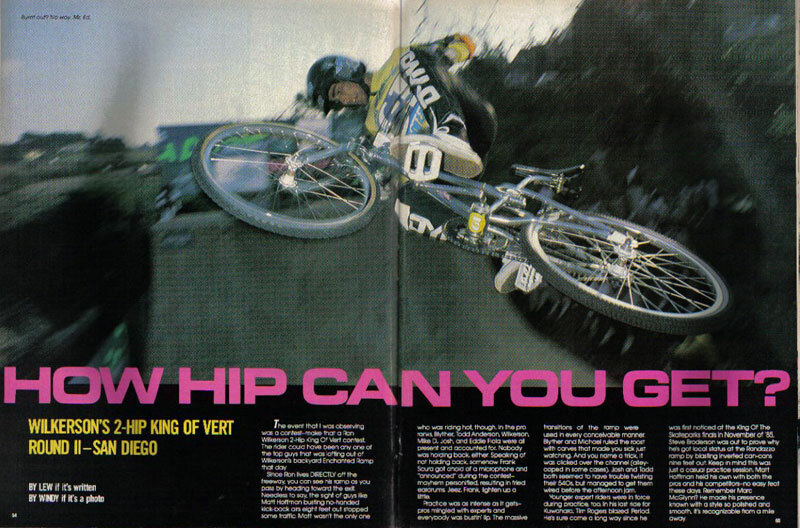 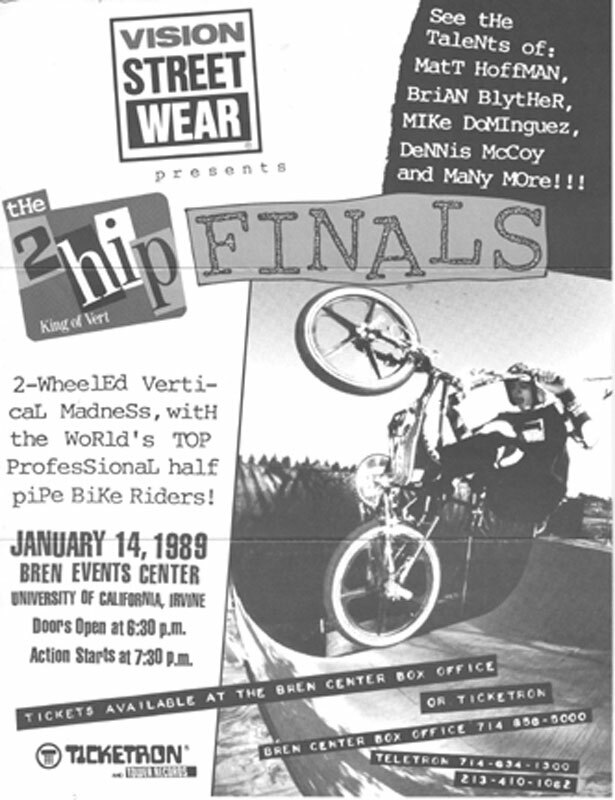 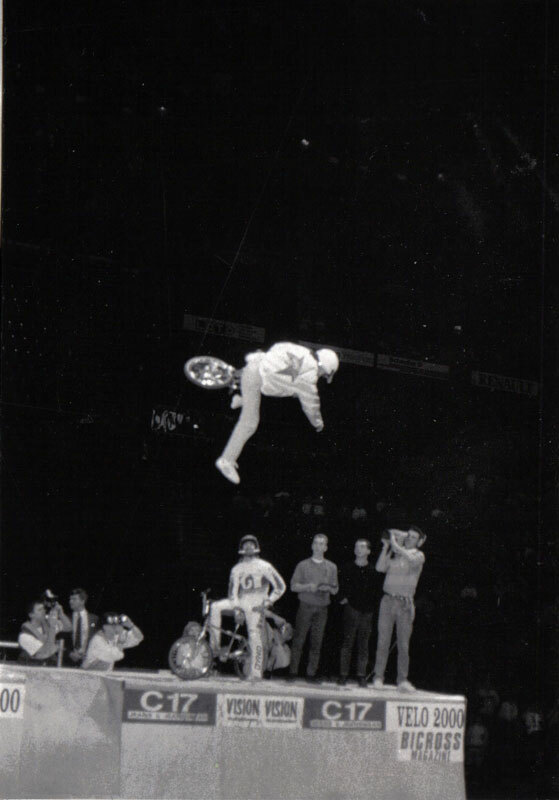 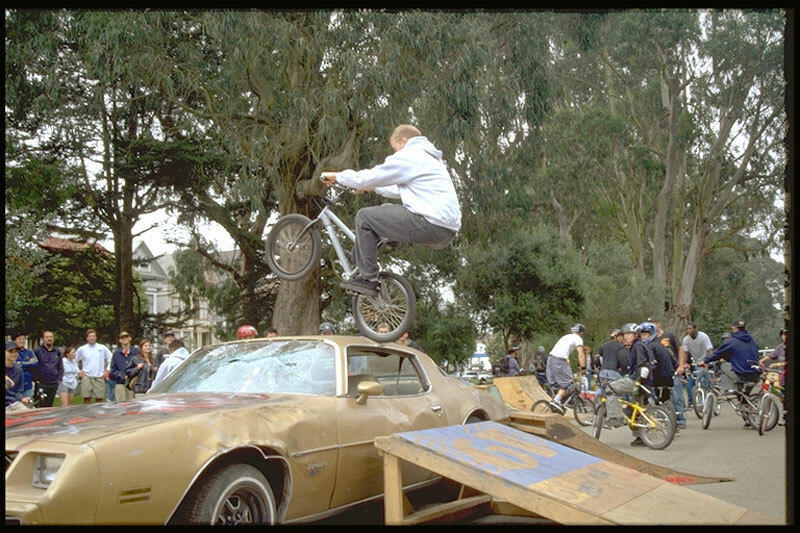 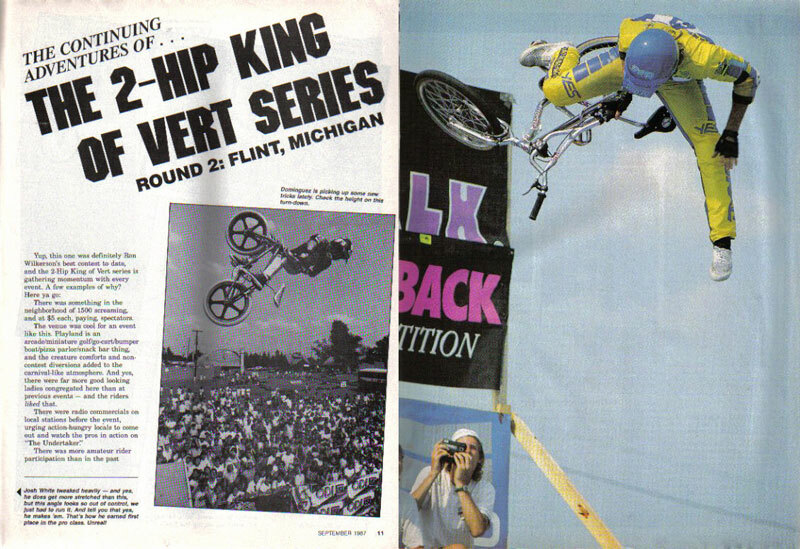 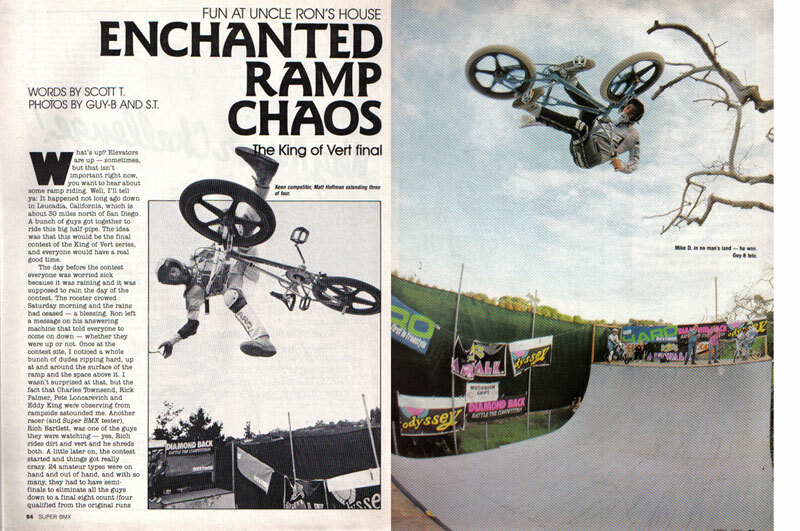 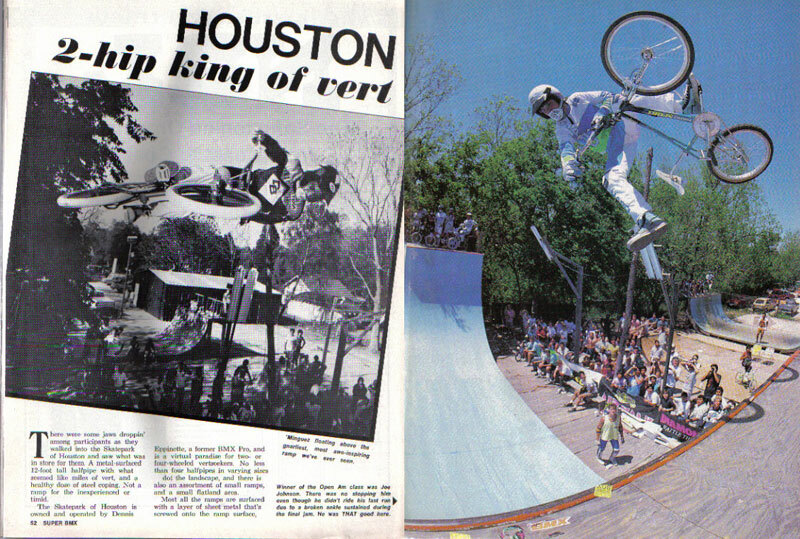 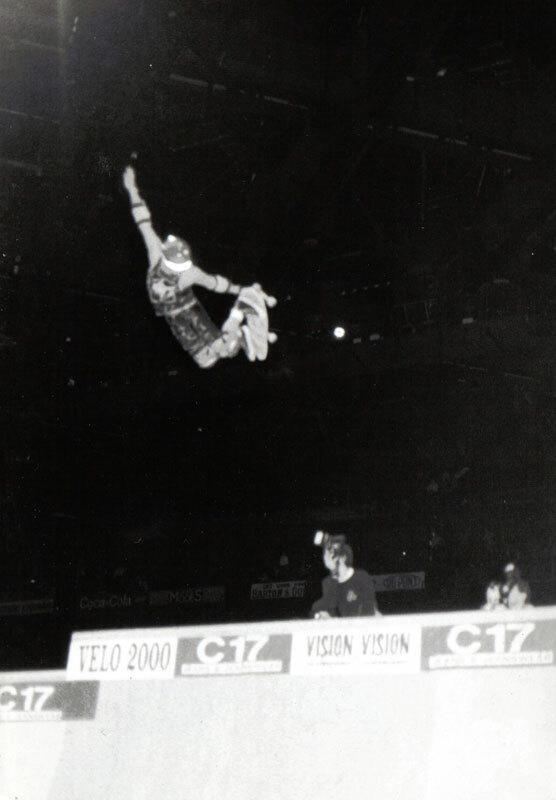 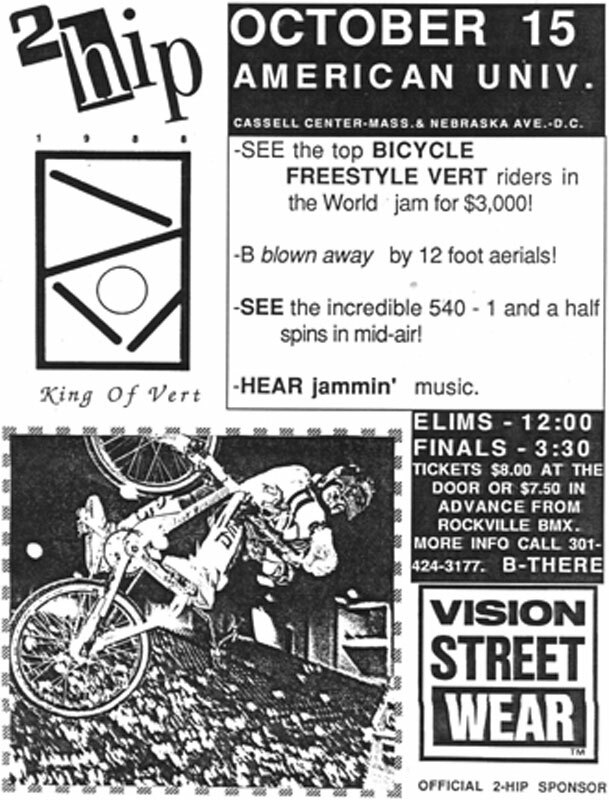 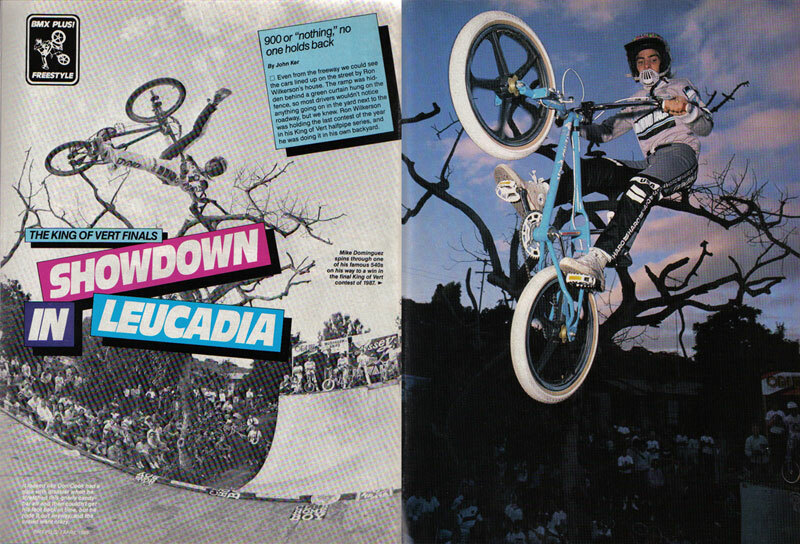 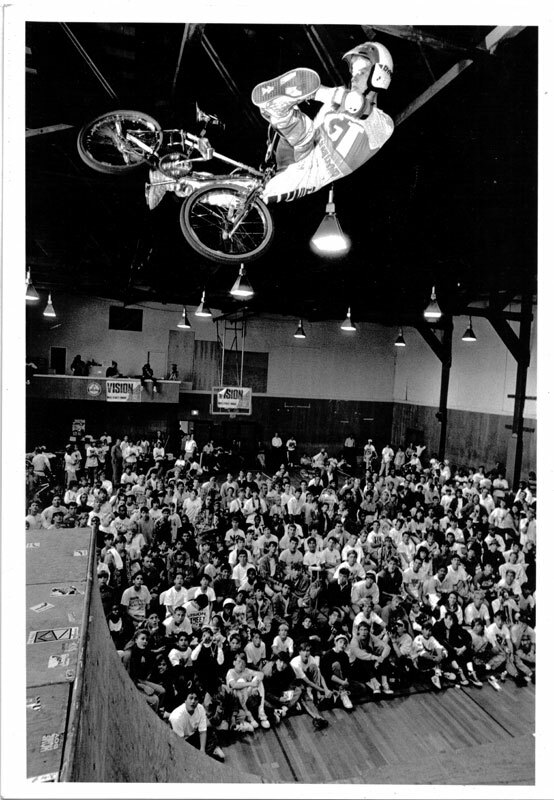 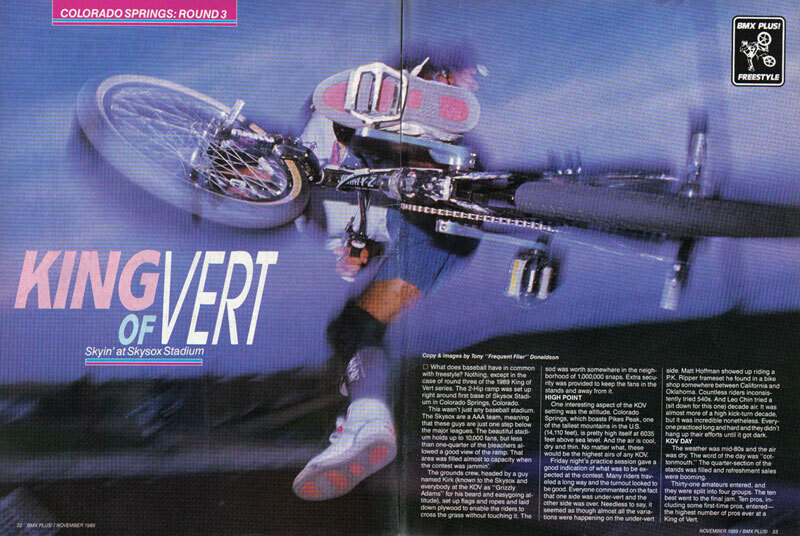 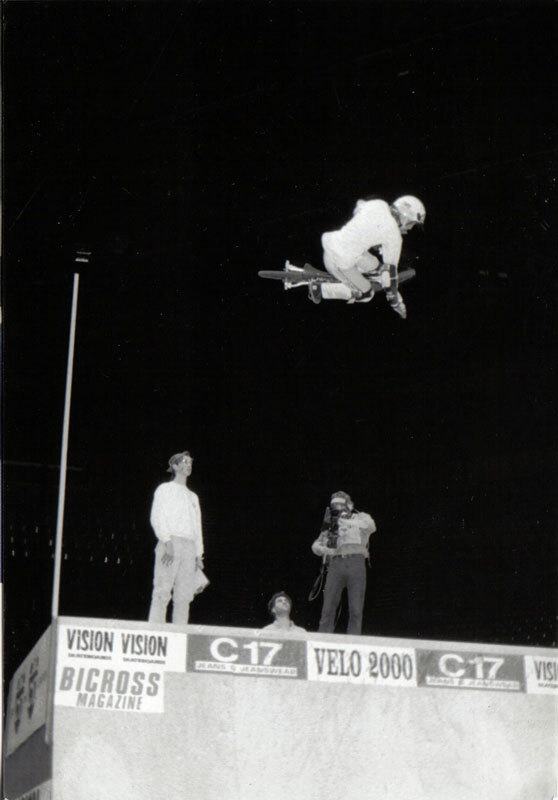 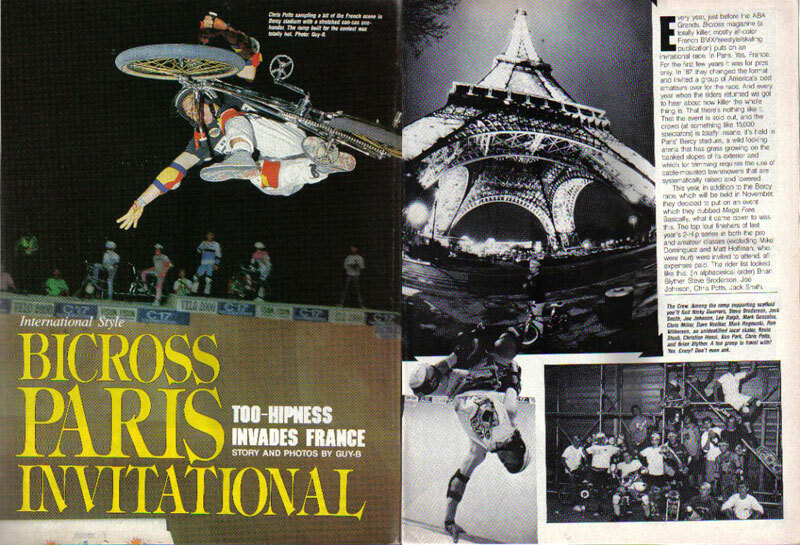 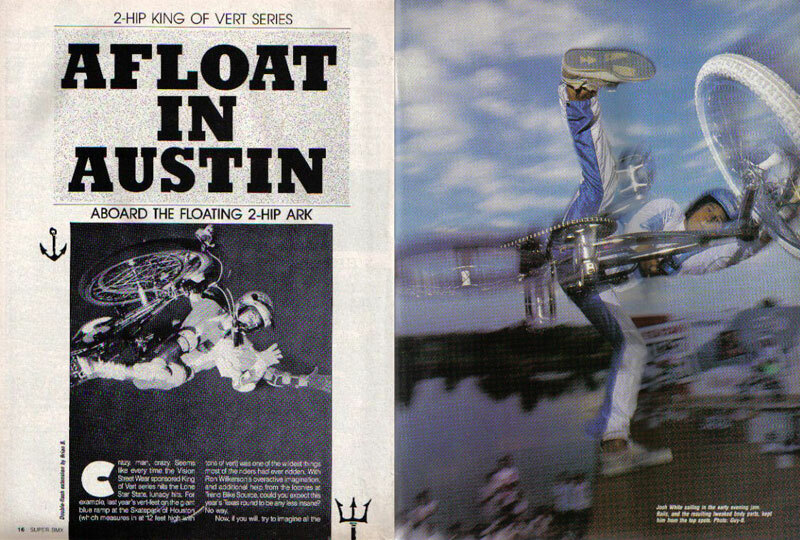 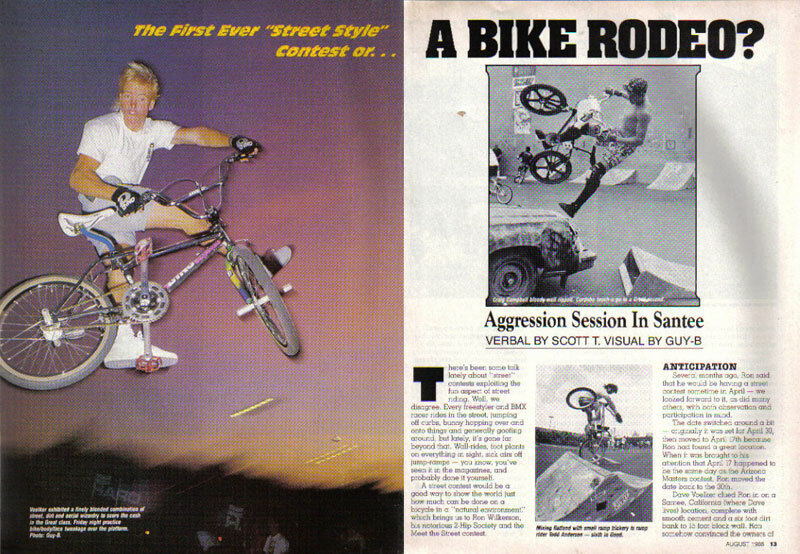 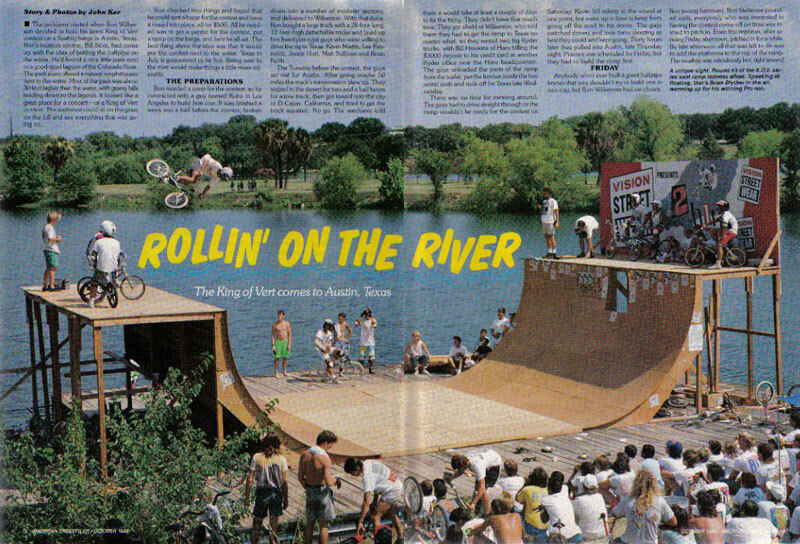 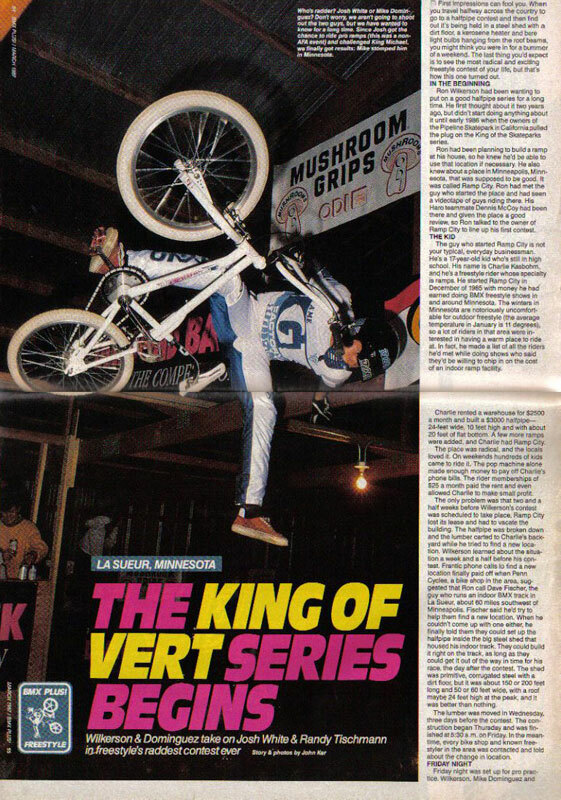 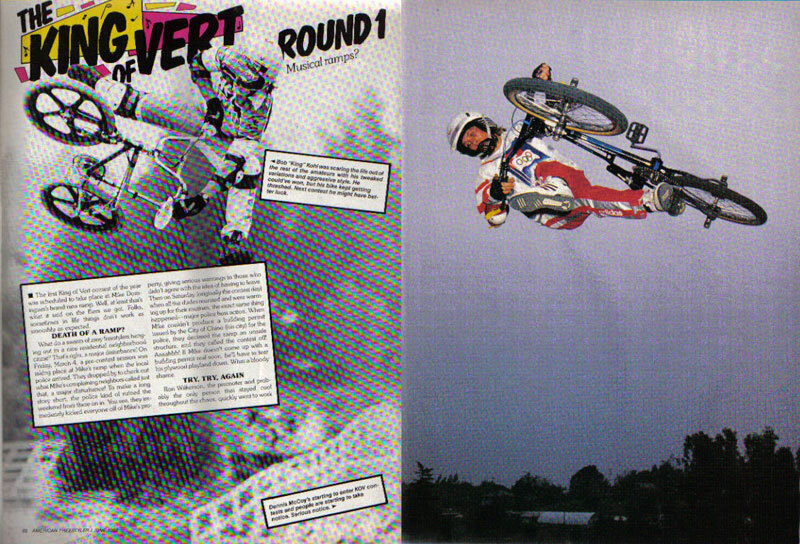 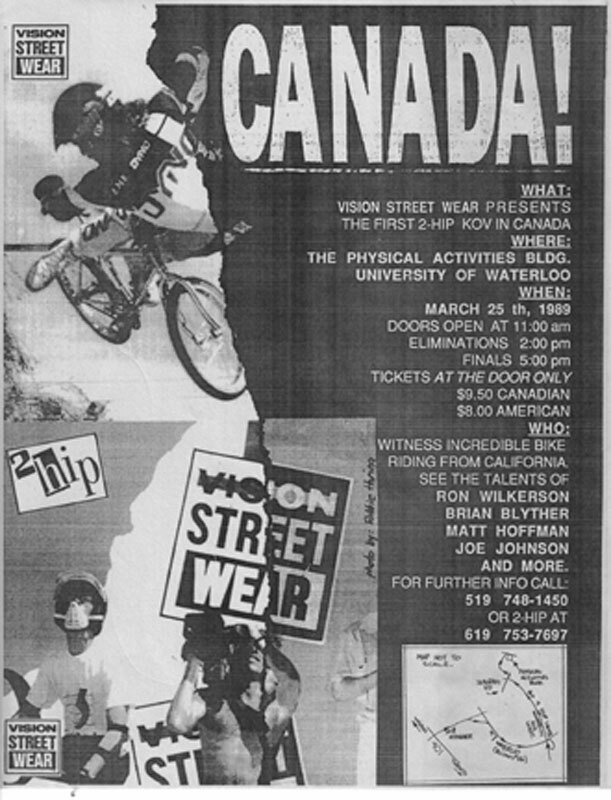 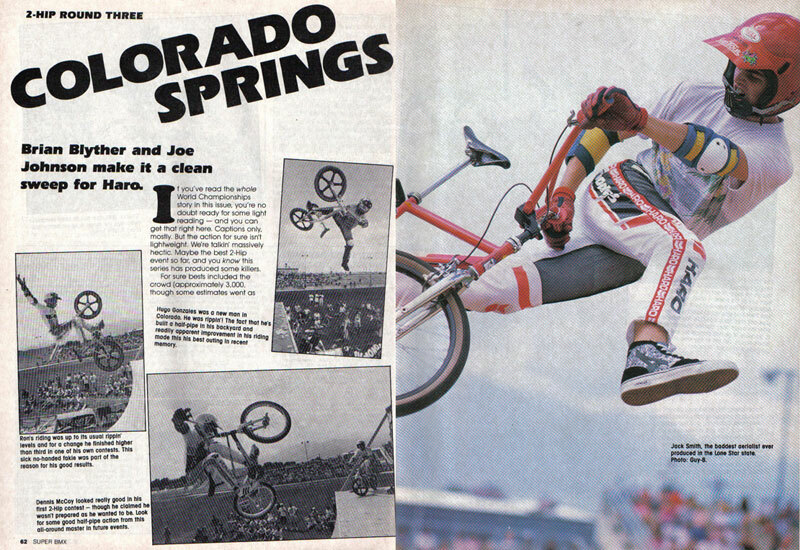 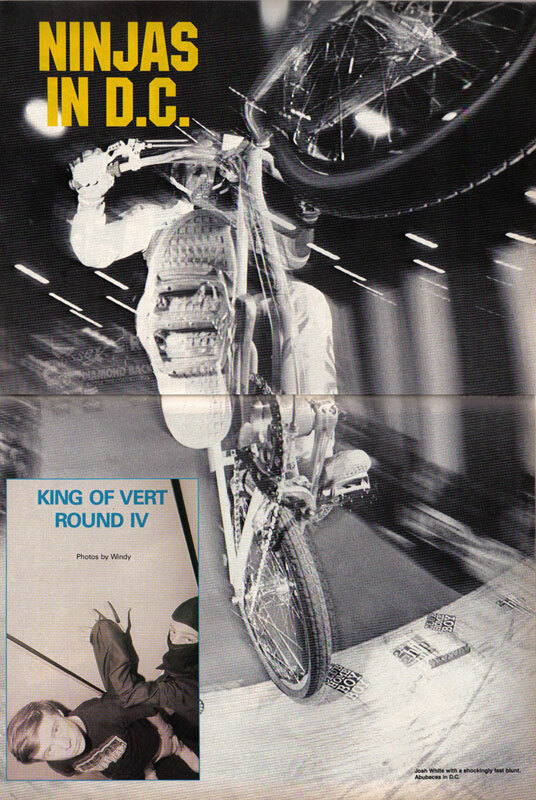 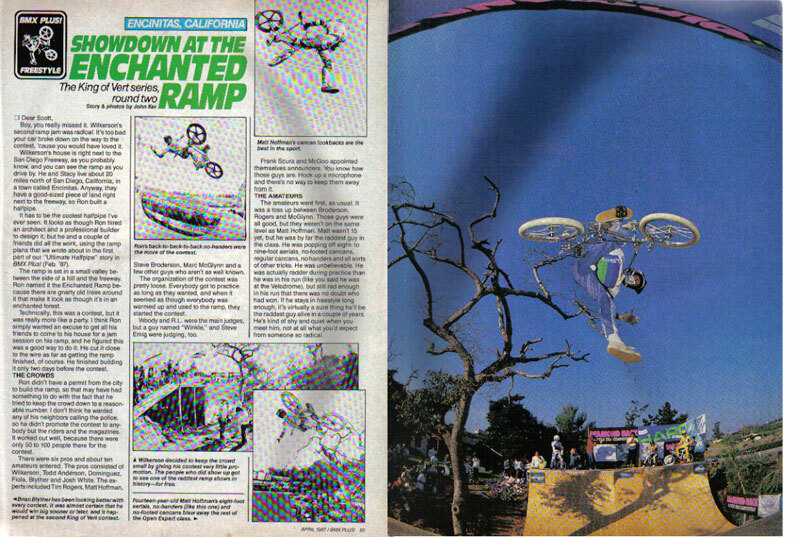 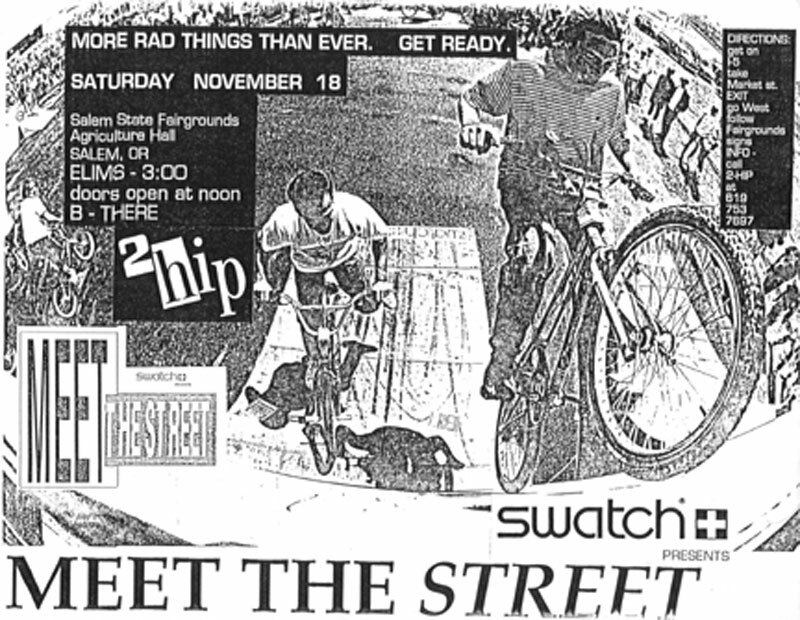 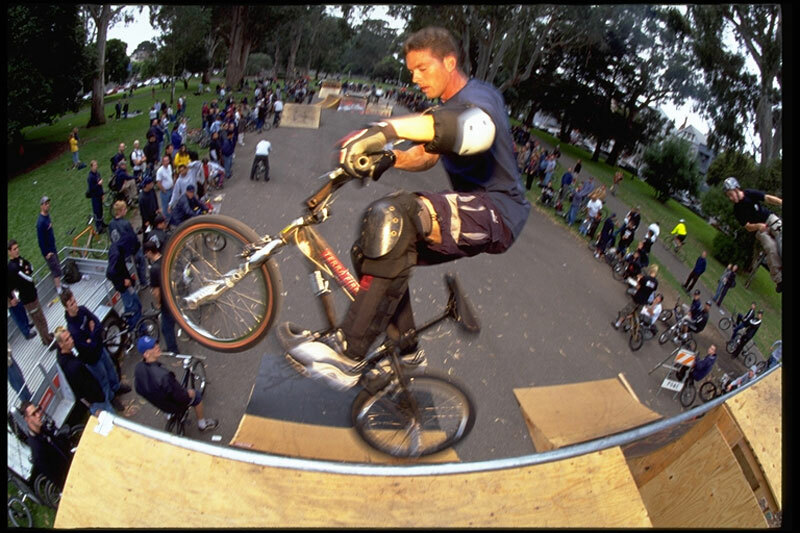 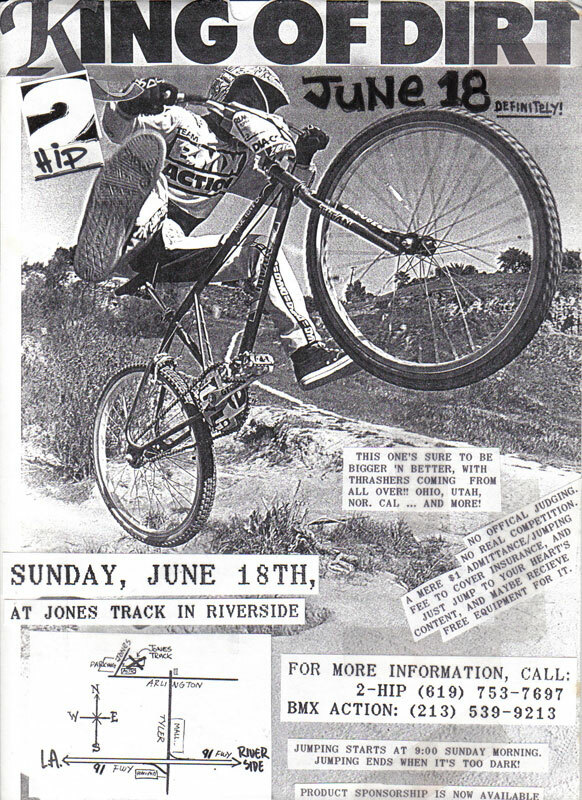 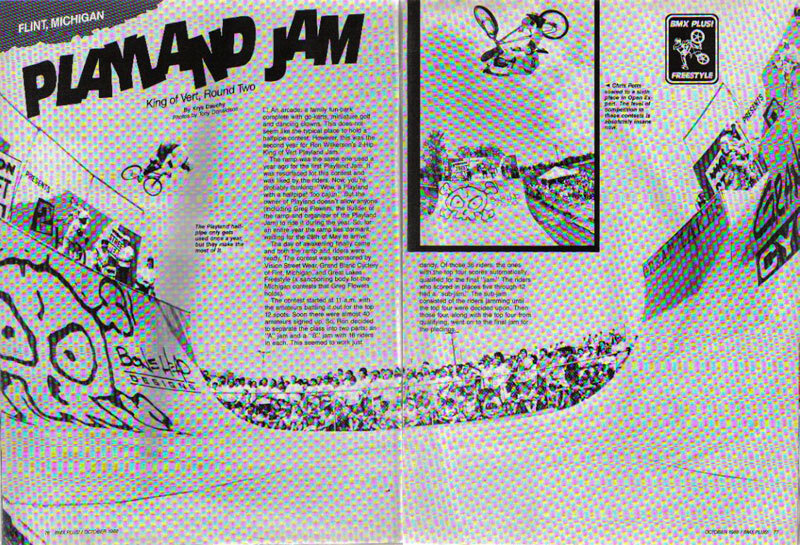 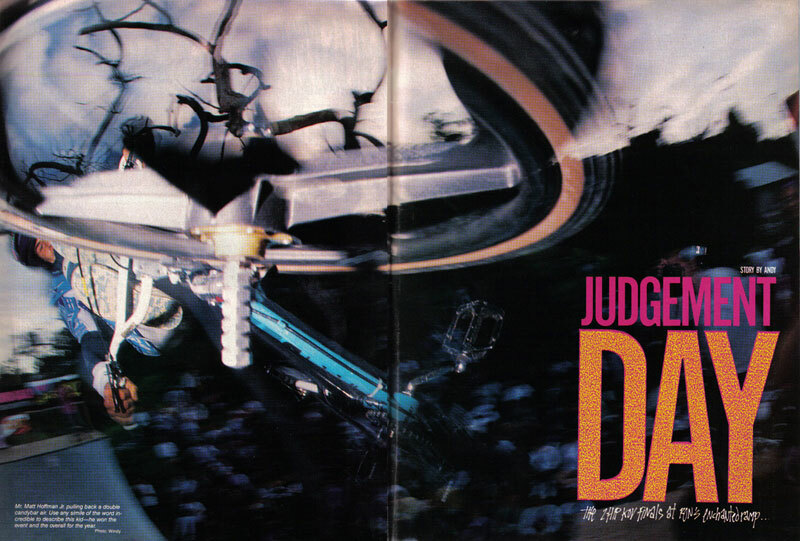 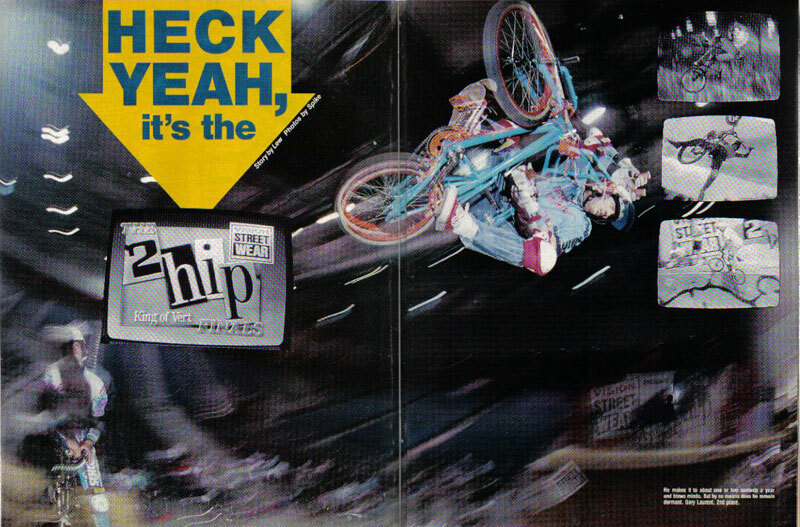 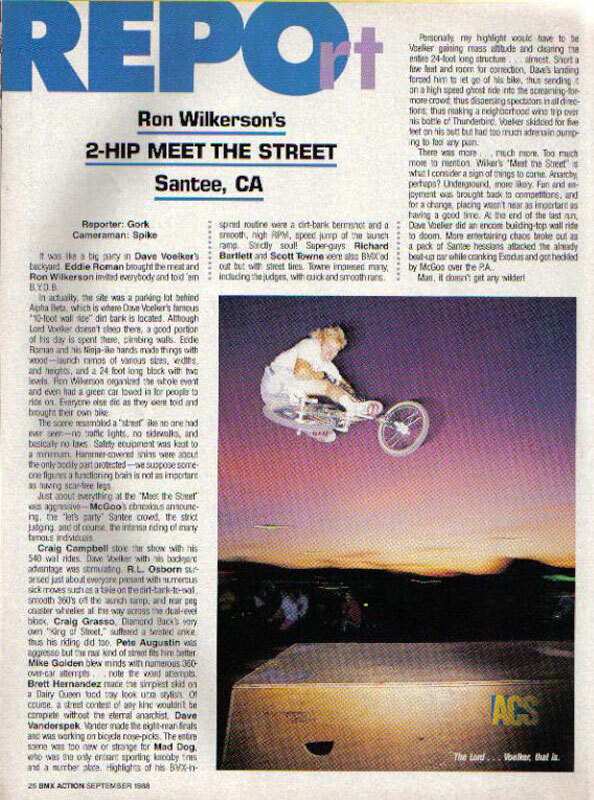 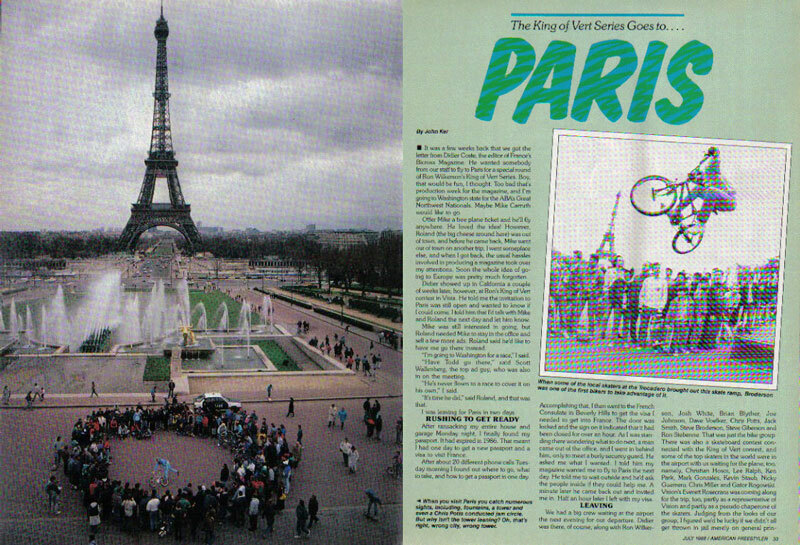 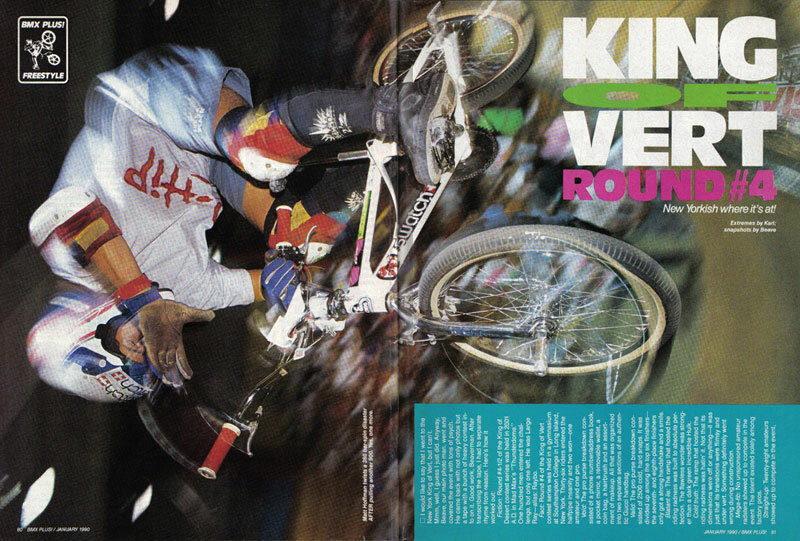 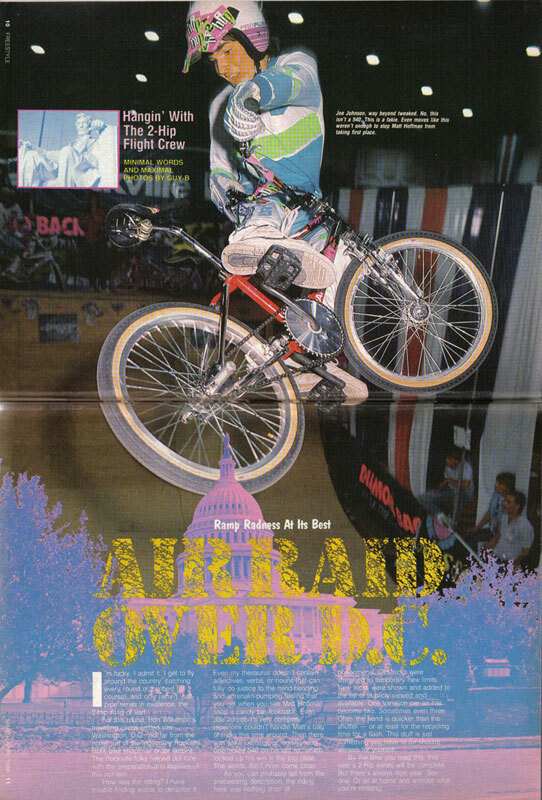 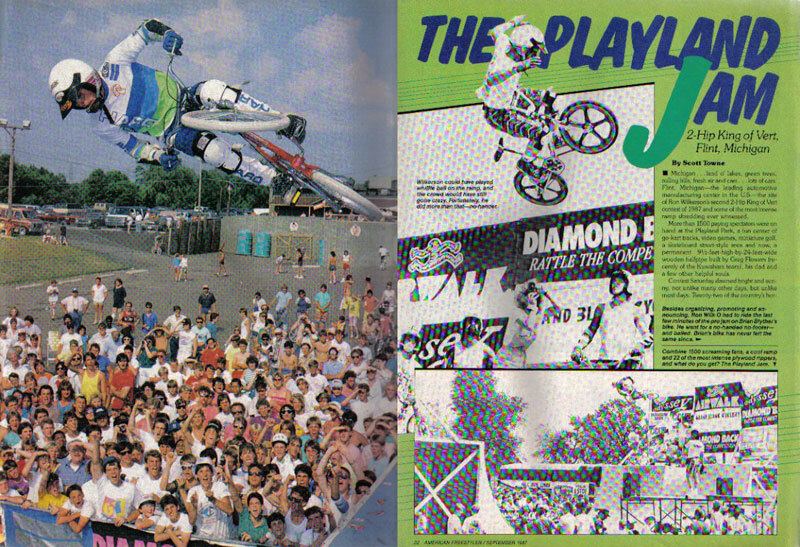 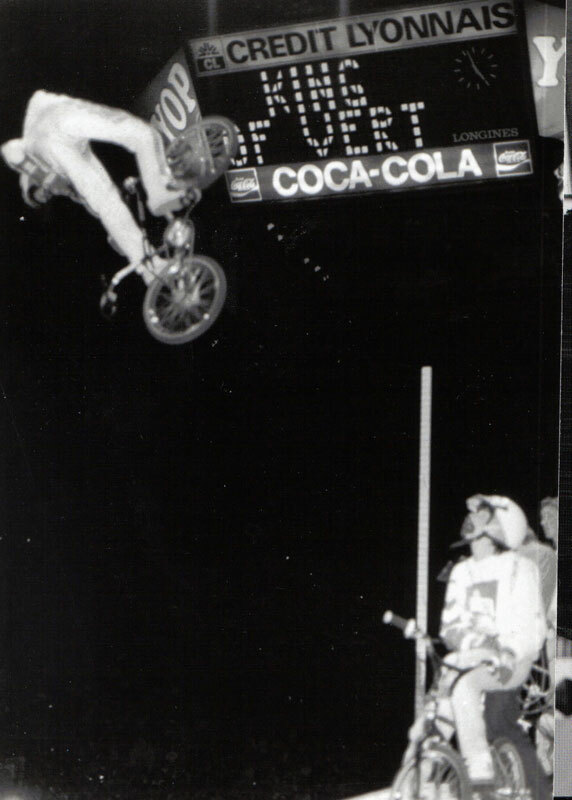 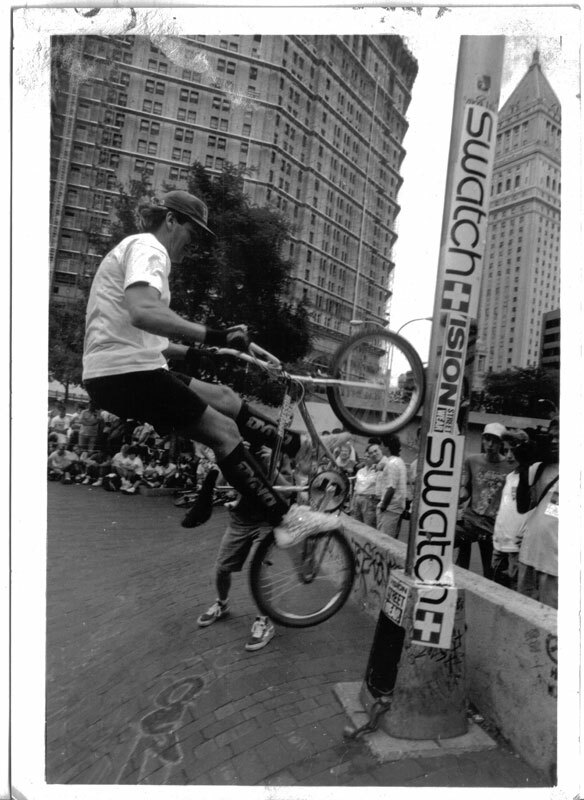 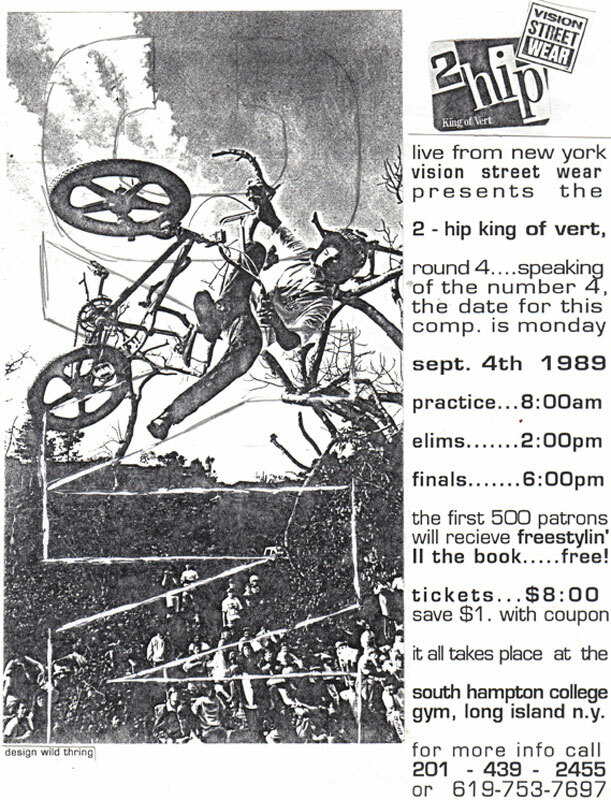 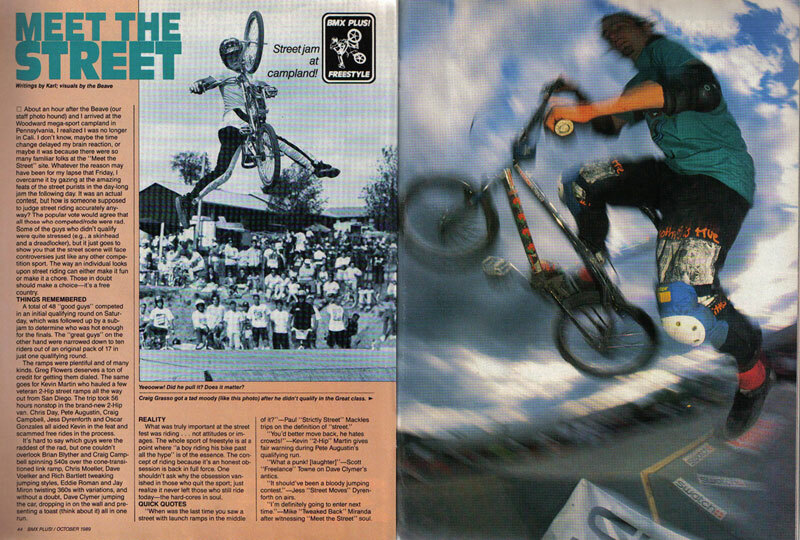 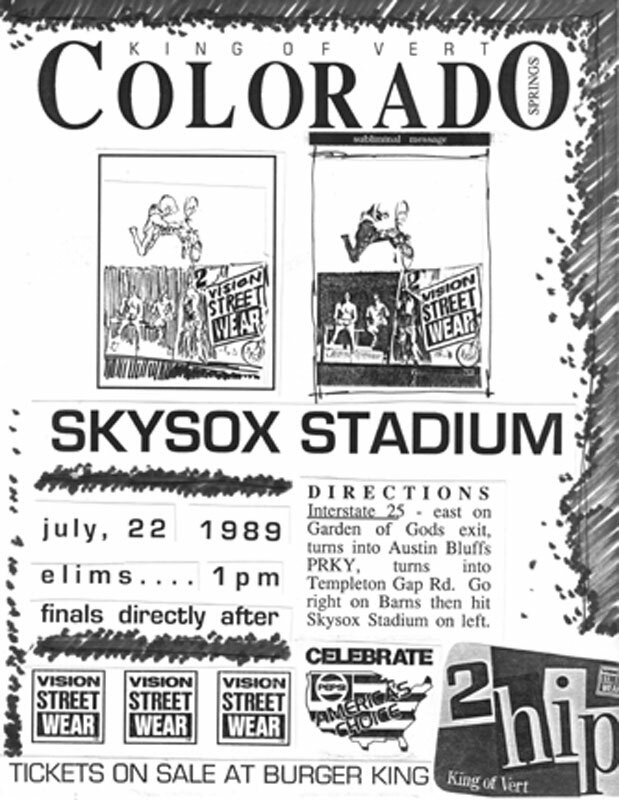 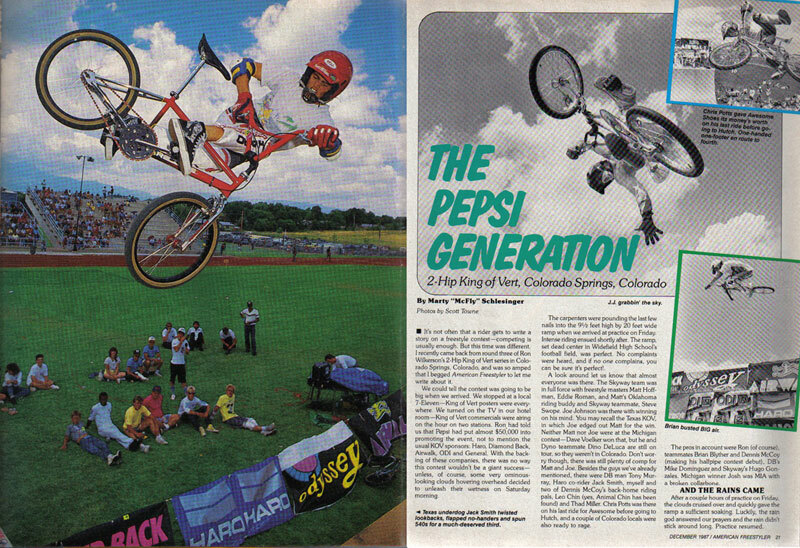 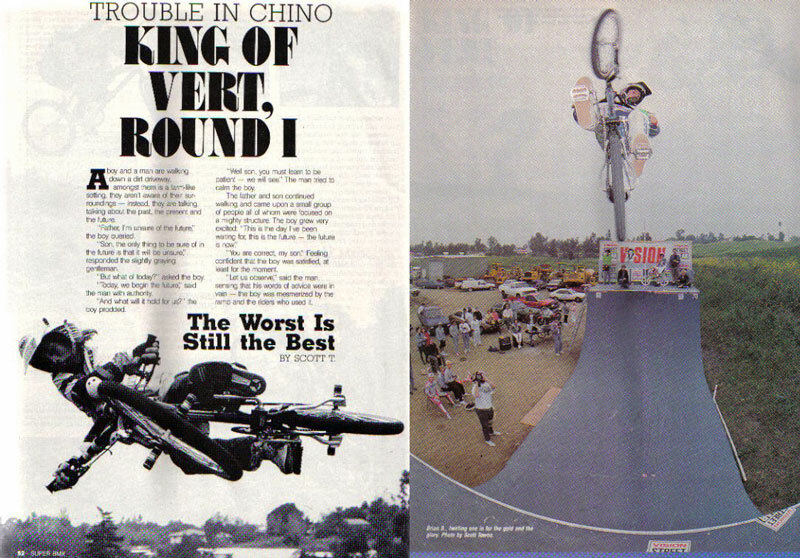 "The long-awaited 2hip King of Dirt was more of a free-for-all thrashin' festival than a jumping contest with judges..." James Cassimus, BMX Action. 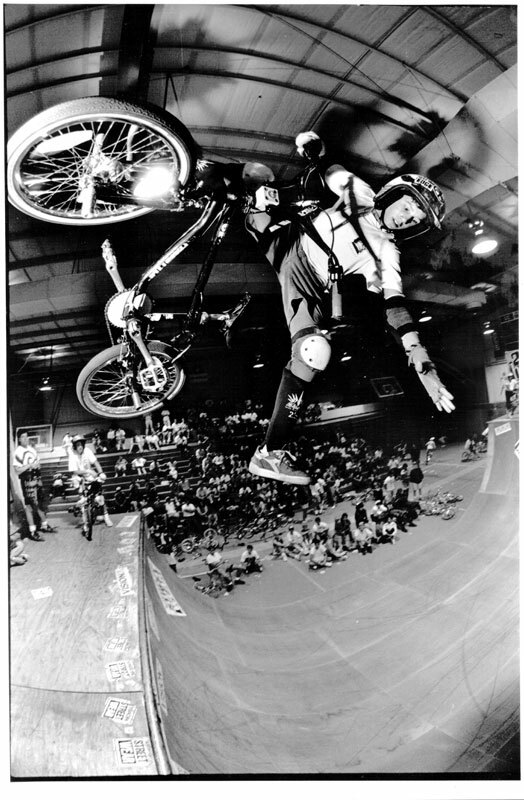 Dave Mirra- 4TH in AM class. 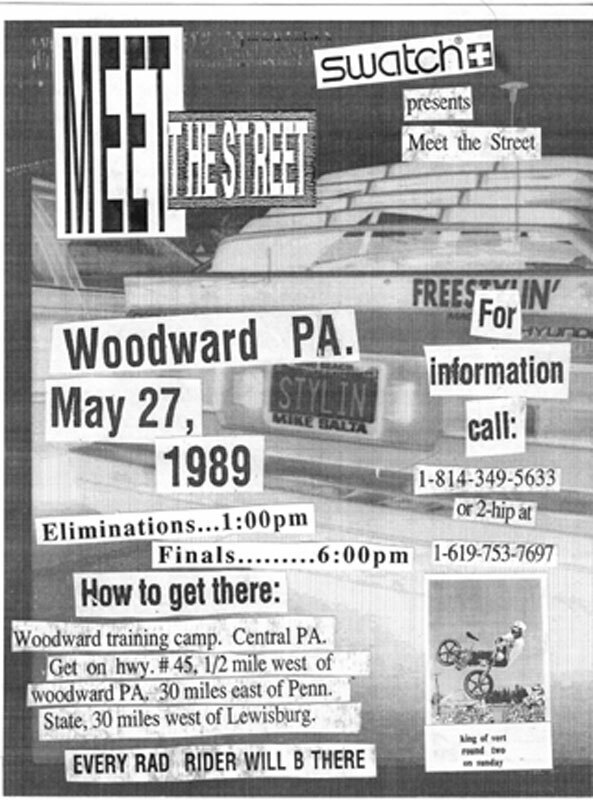 Street contest inside a building on the fairgrounds. 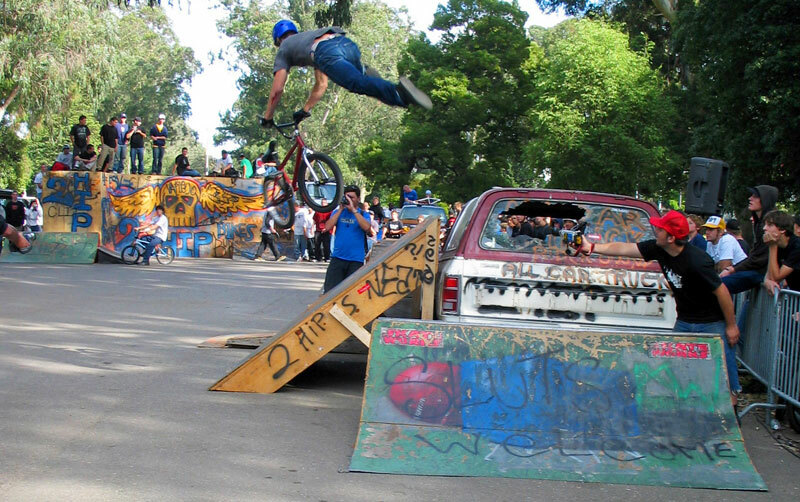 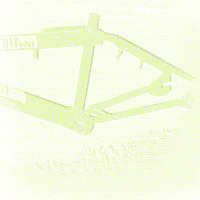 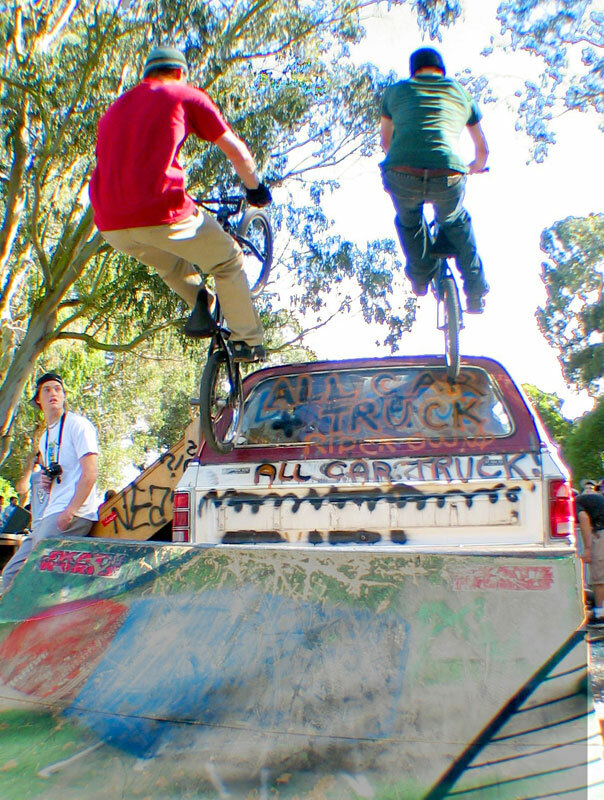 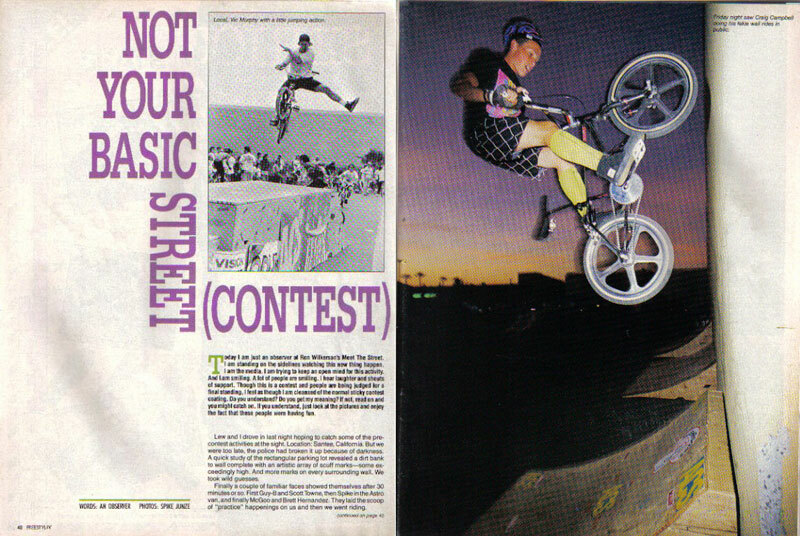 Pure BMX, not pure STREET. 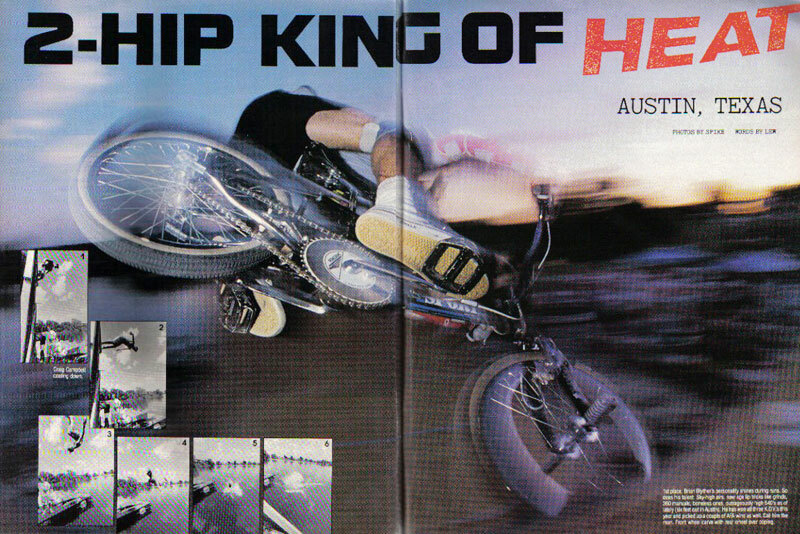 The third KING OF DIRT ever—Held at the legendary Mission Trails. 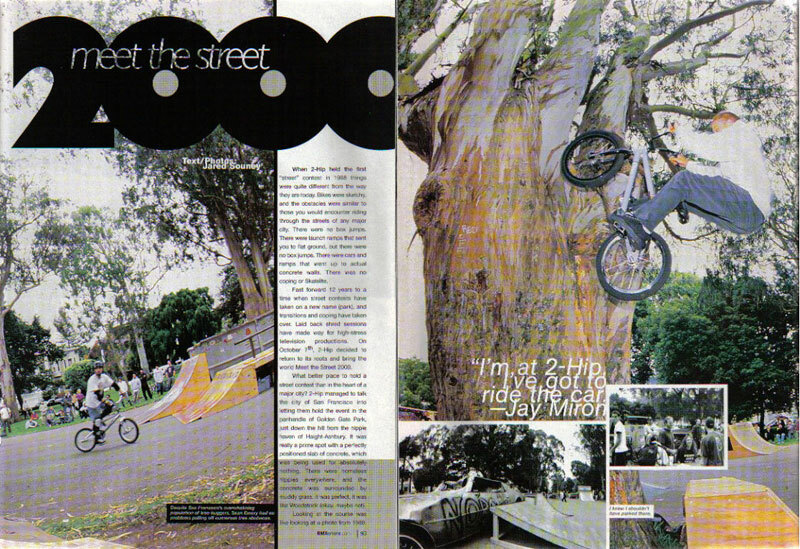 Welcome Canook Jay Miron to the pro scene. 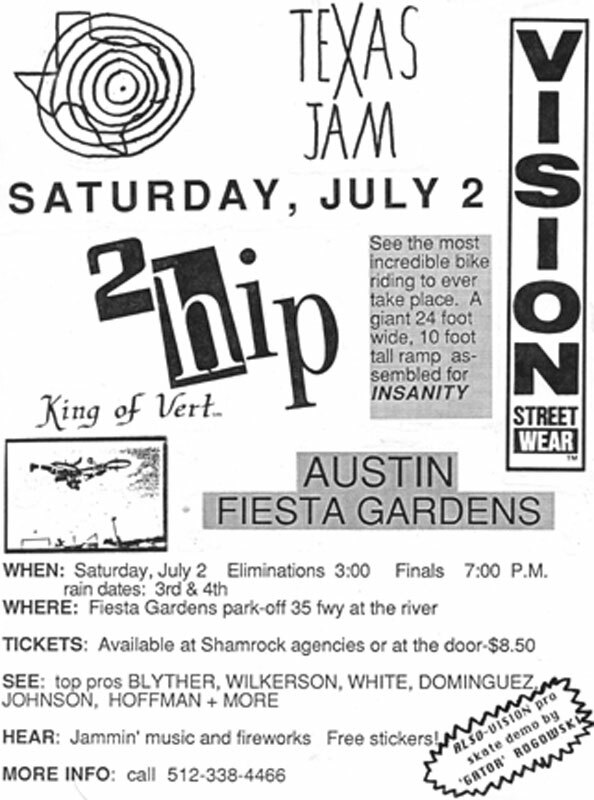 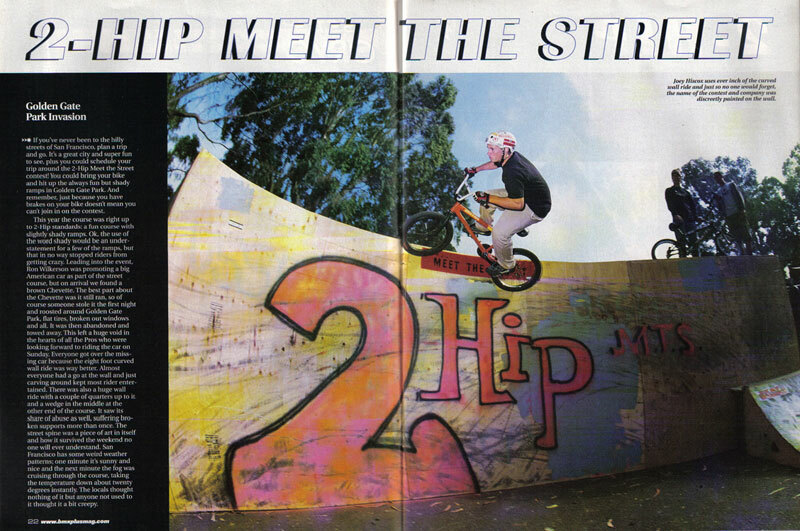 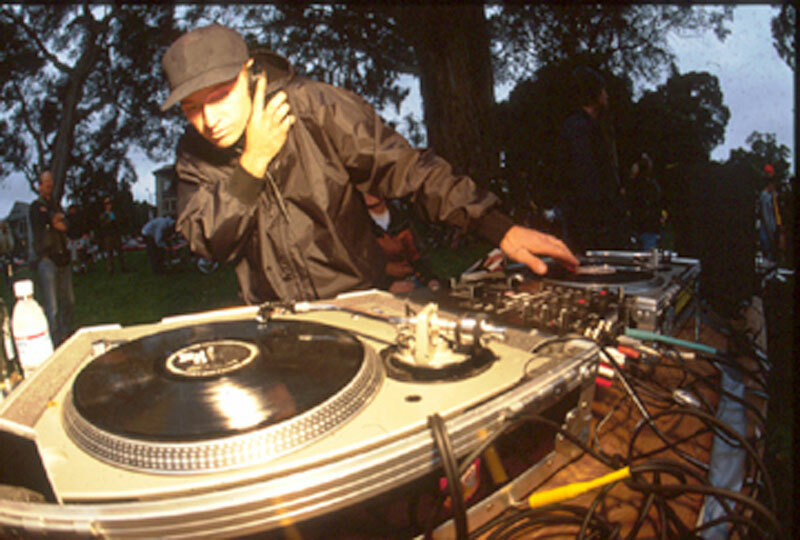 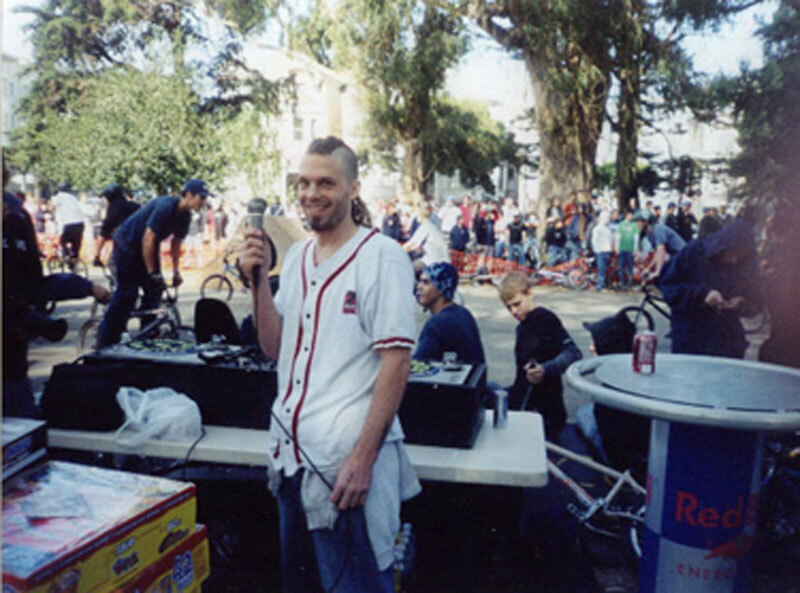 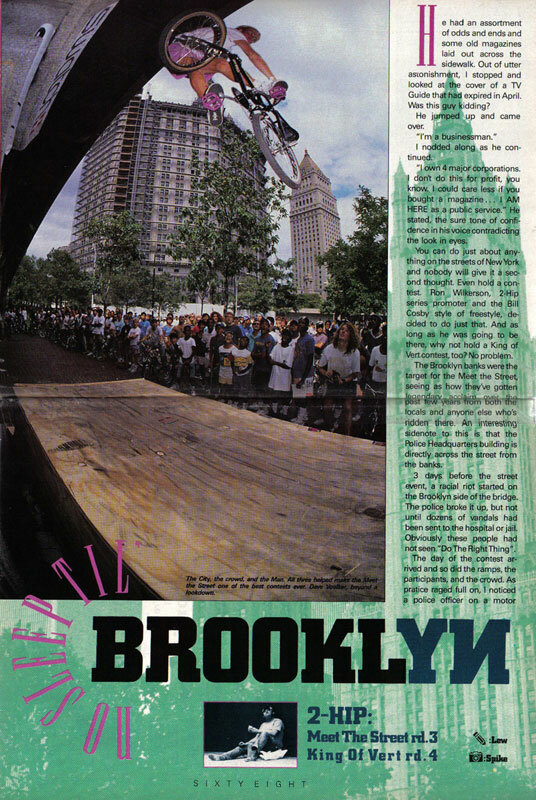 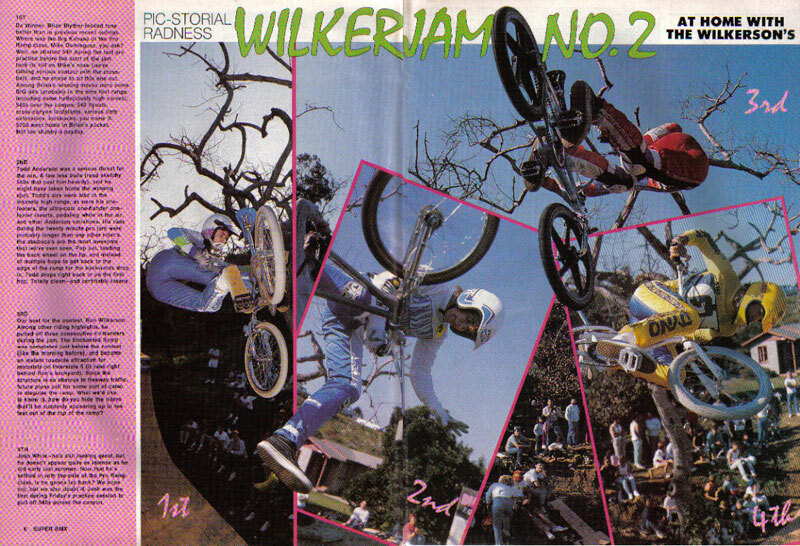 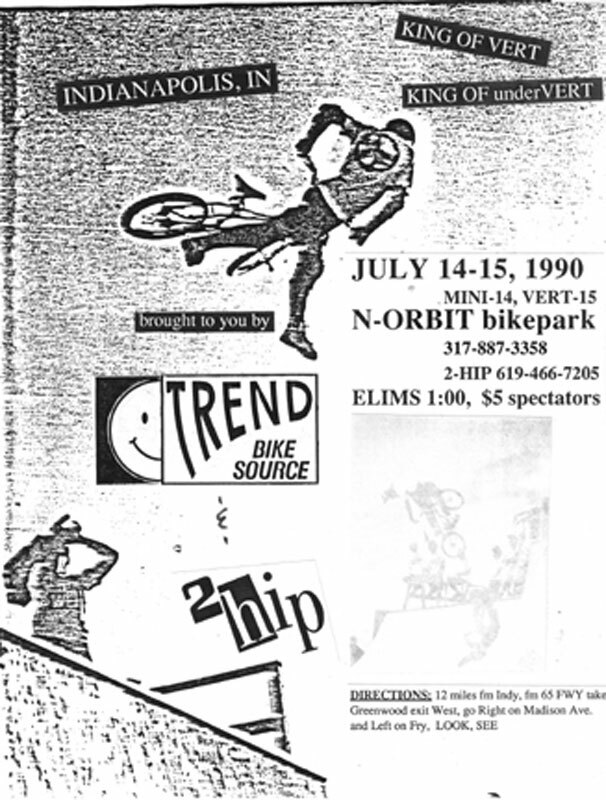 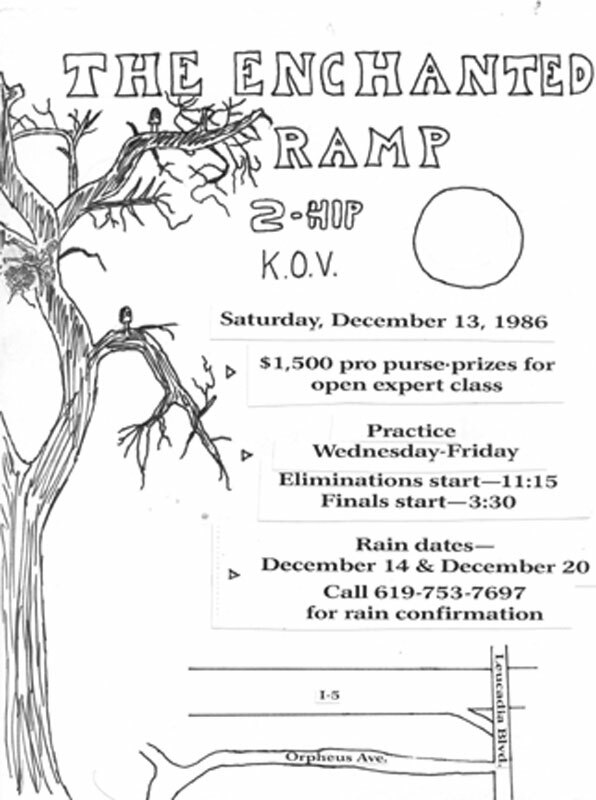 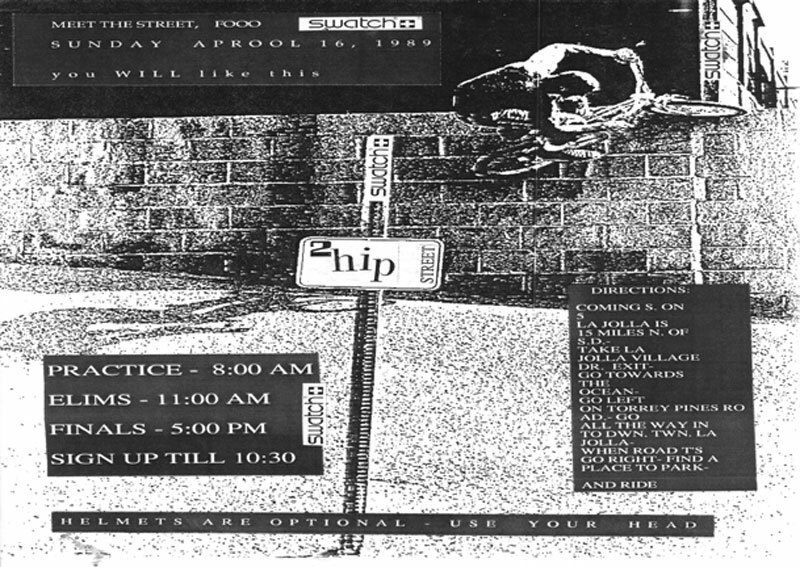 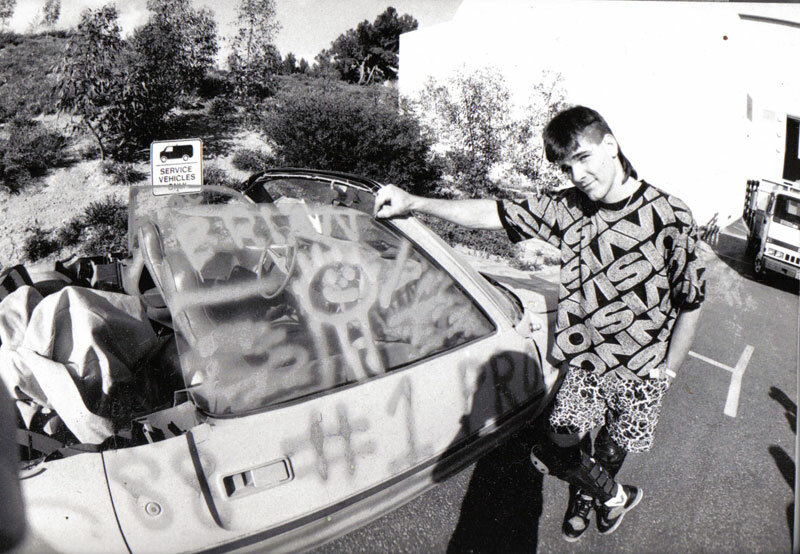 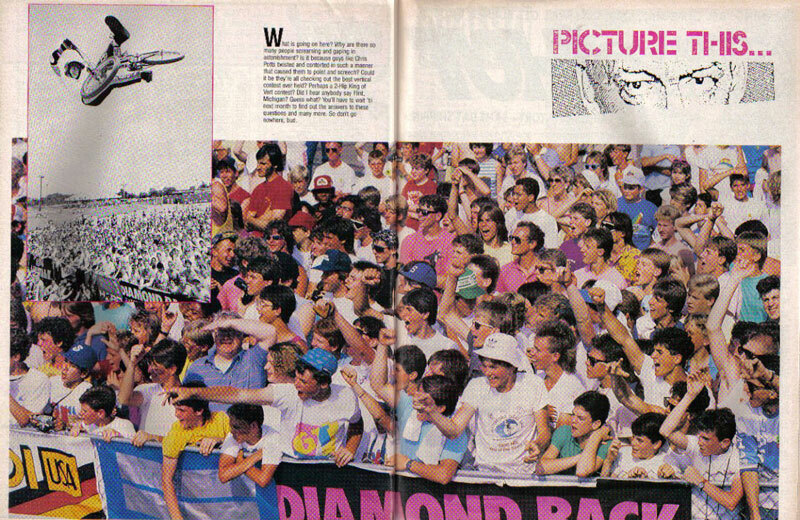 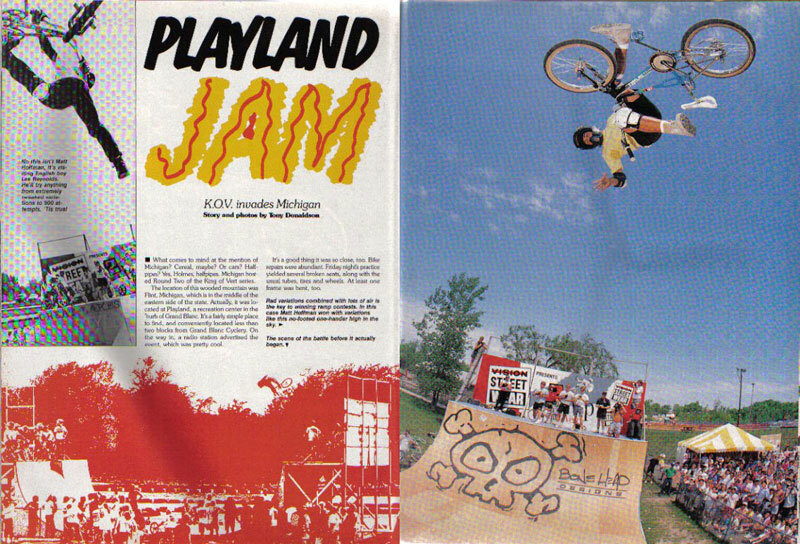 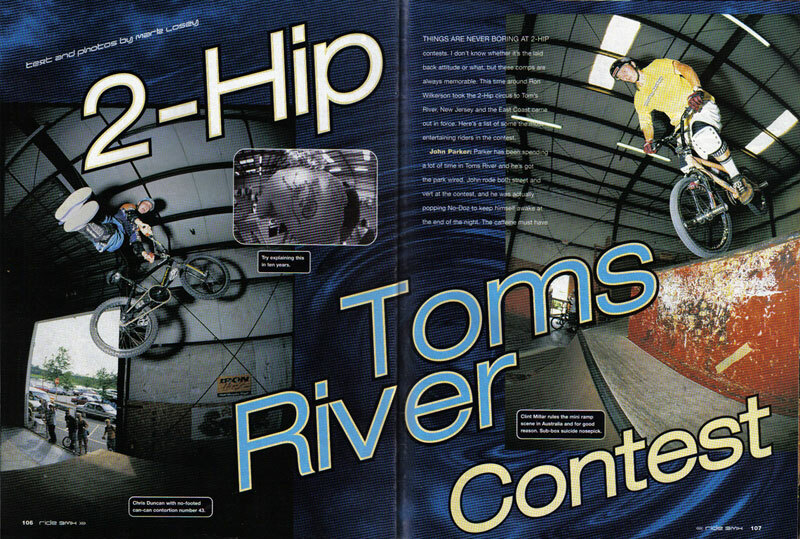 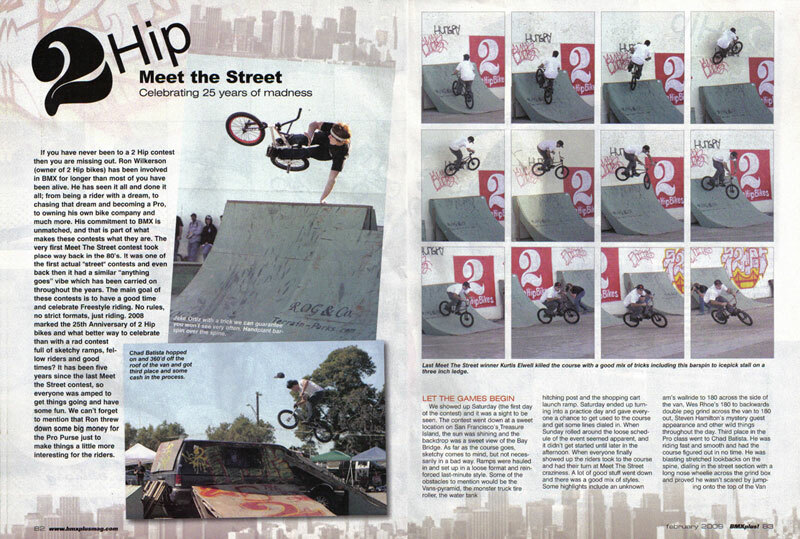 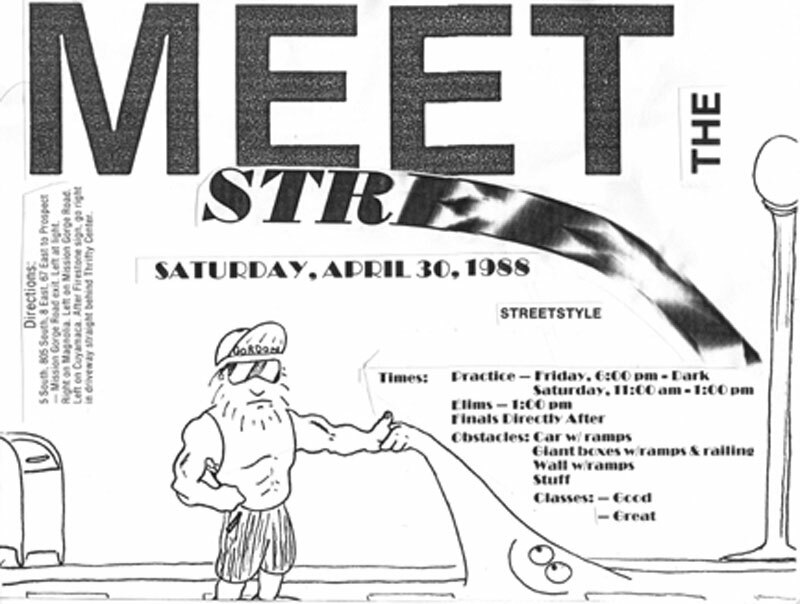 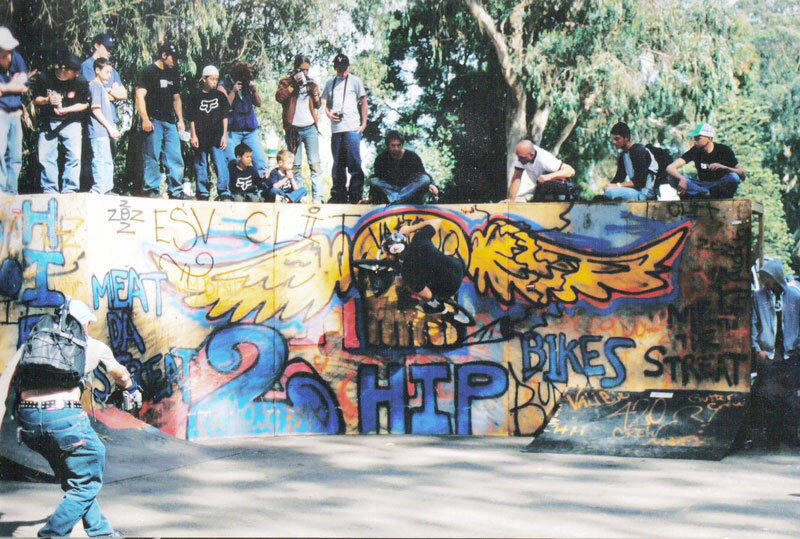 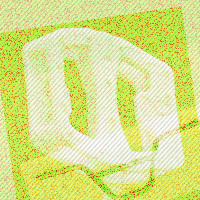 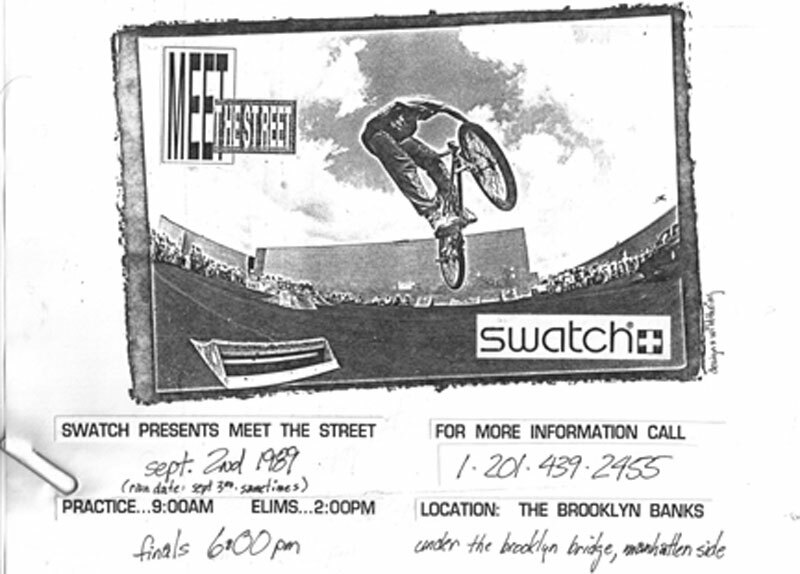 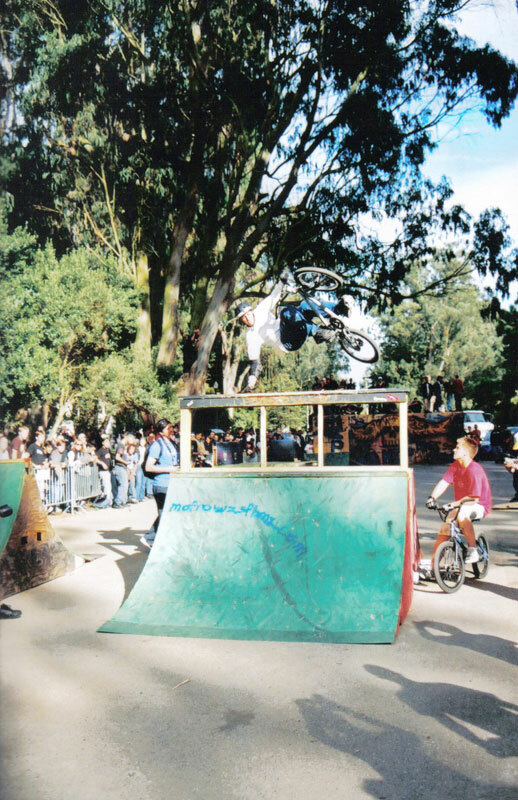 The first 2hip jam held in an oooold skool cement park! 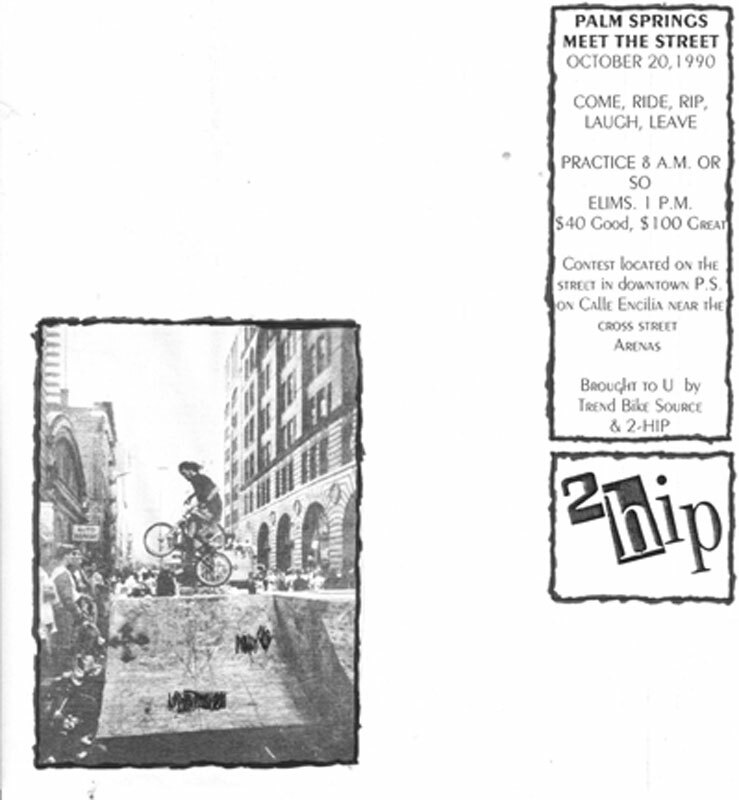 The first 2hip PARK contest! 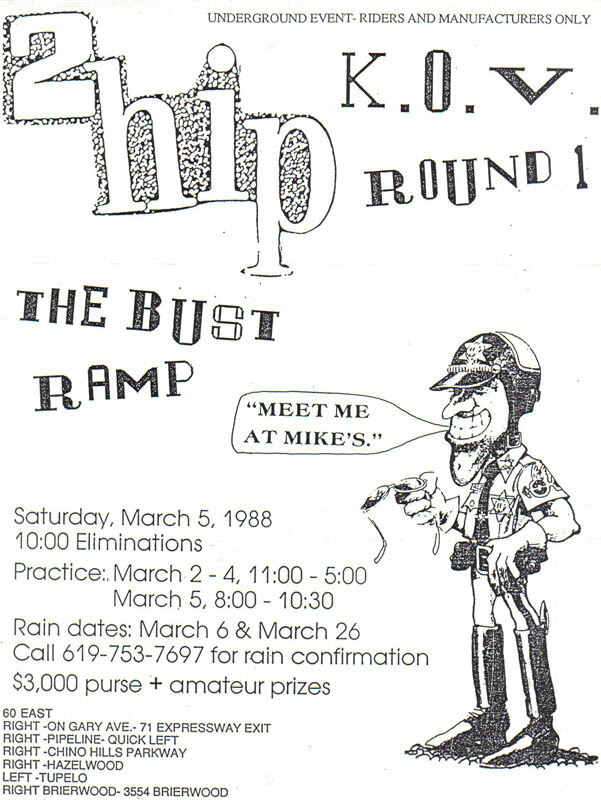 Hamilton Airforce Base The Miami-Hopper Drop-in LIVES!!! 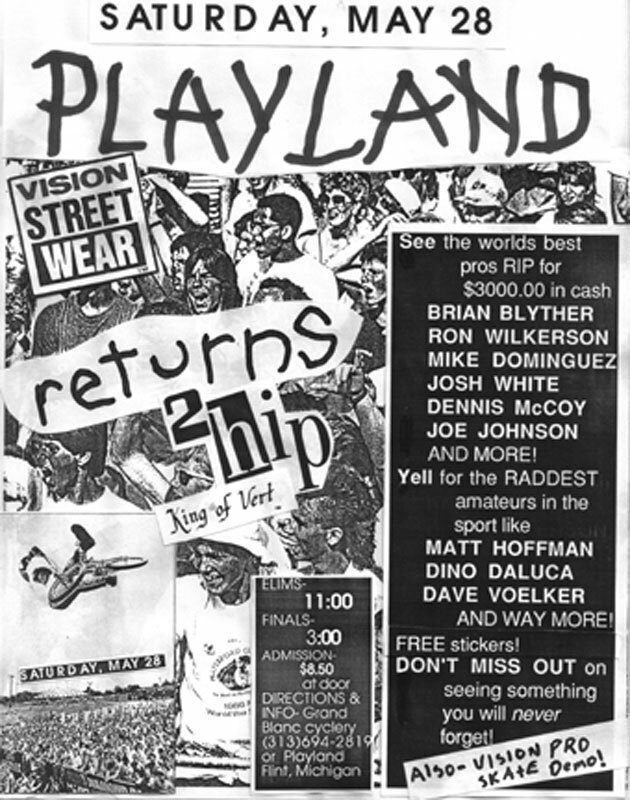 Return to Skatepark of Houston, TX riders in FORCE. 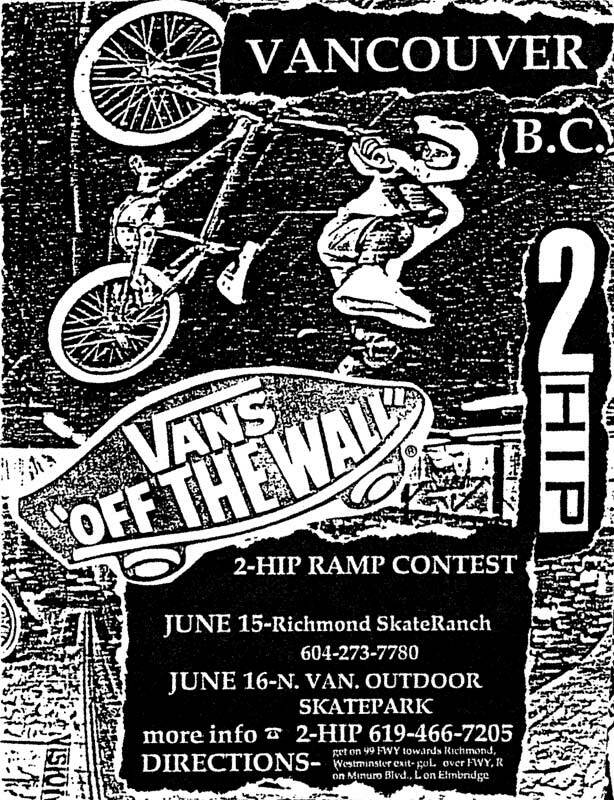 Van Homan, Kenan Harkin, Littleman, K.Rob, and of course Ice Money shredding. 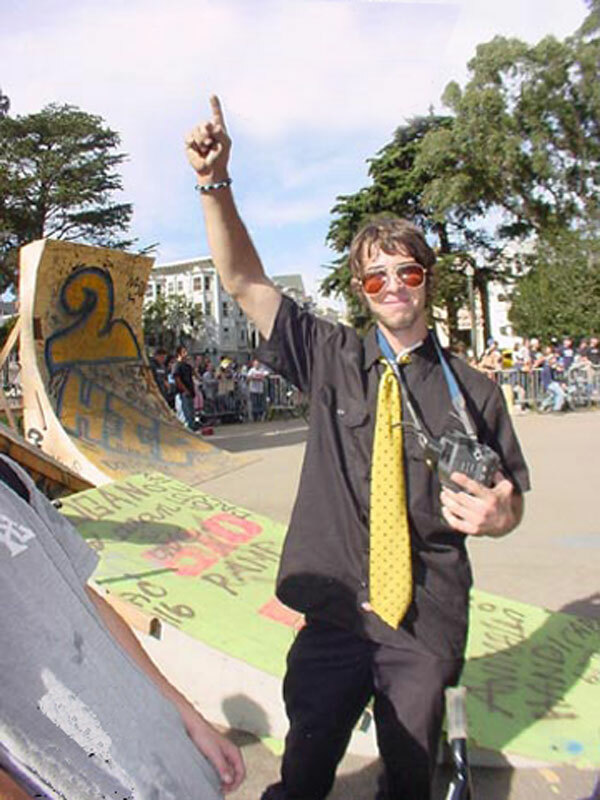 "I don't know if it's the laid back attitude or what, but these comps are always memorable." 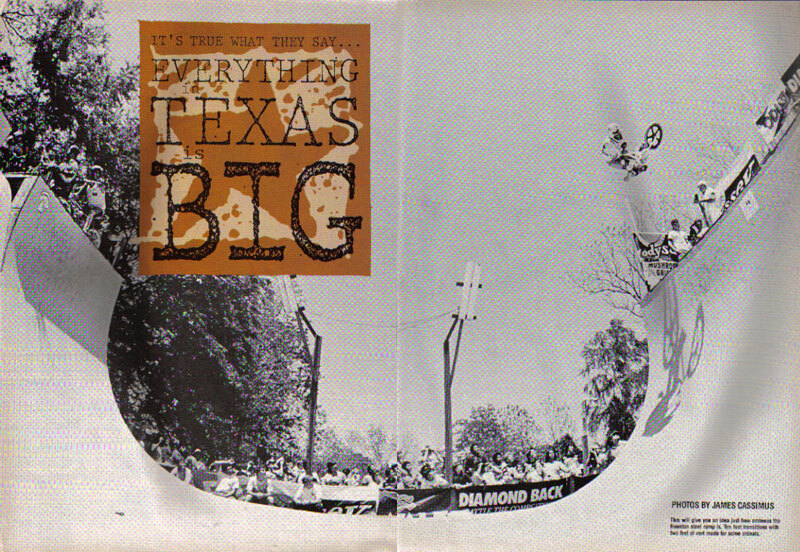 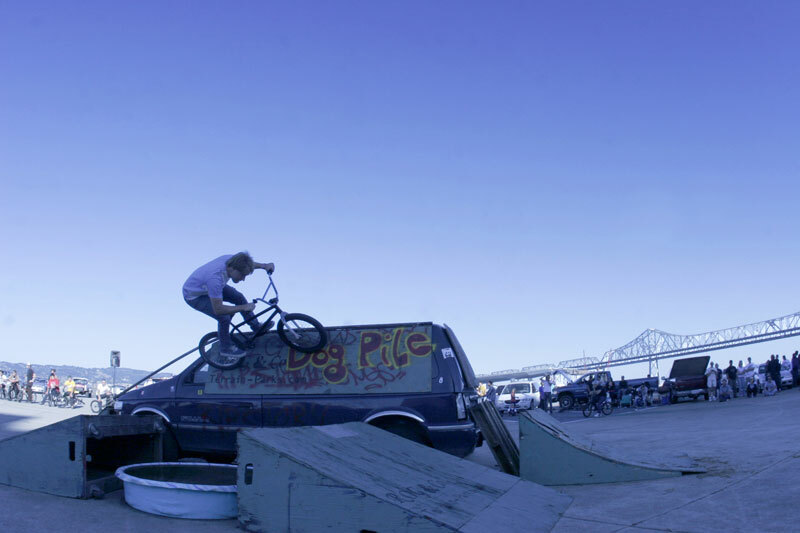 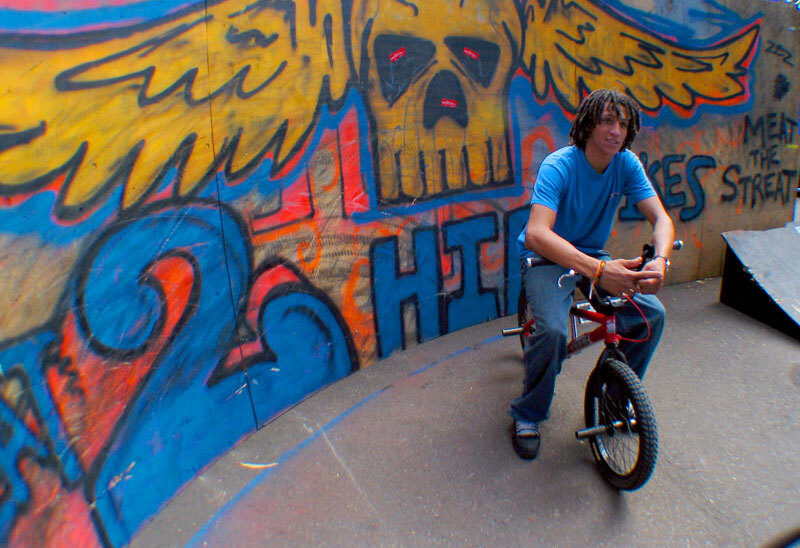 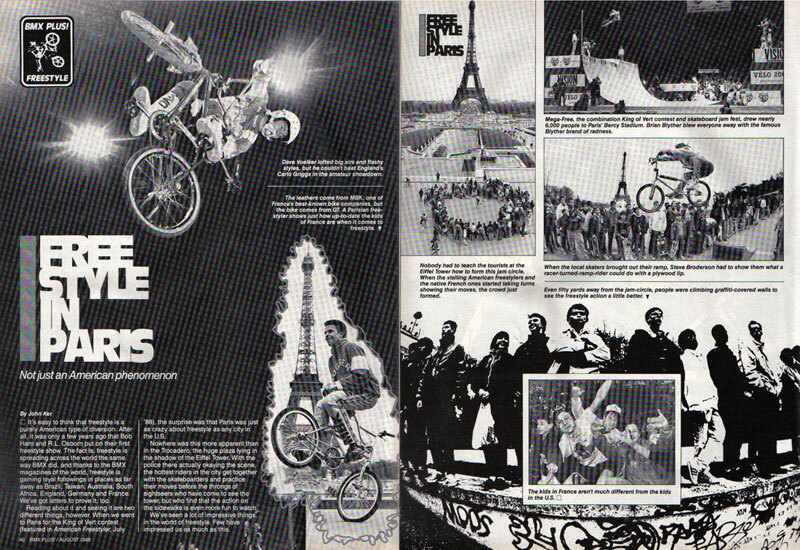 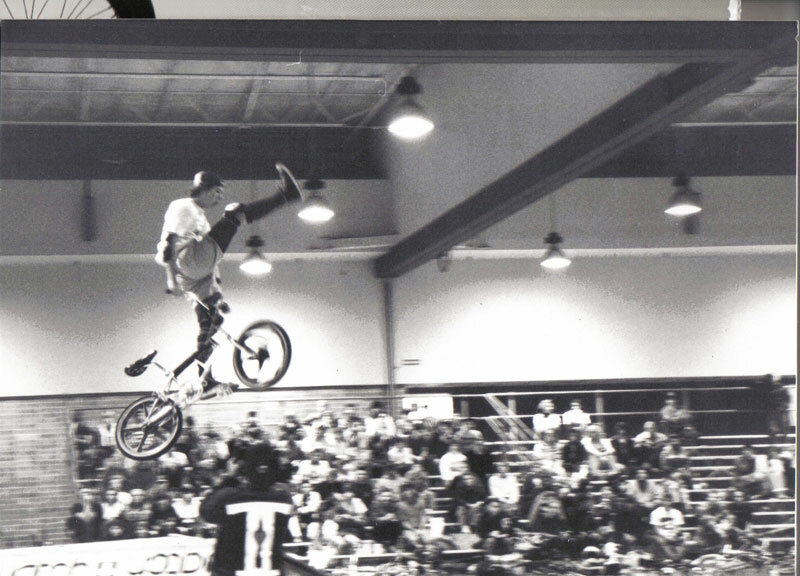 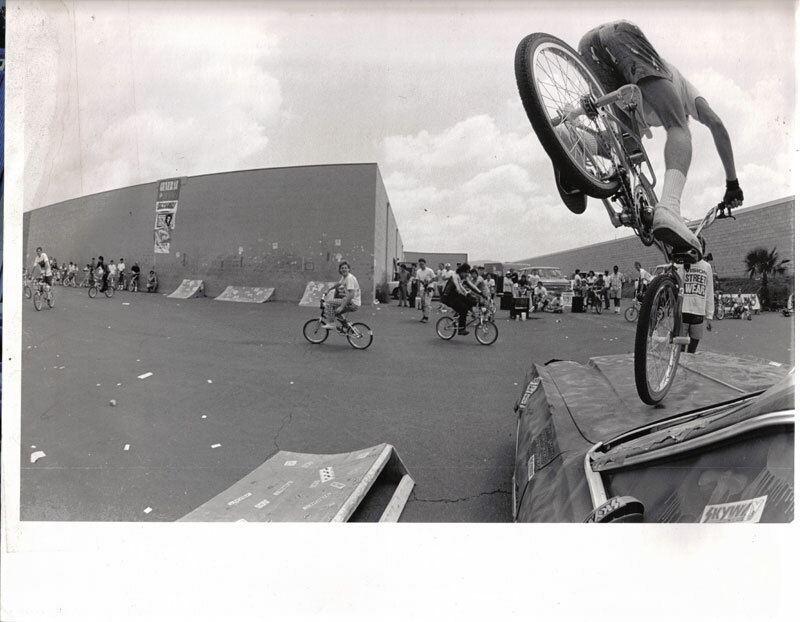 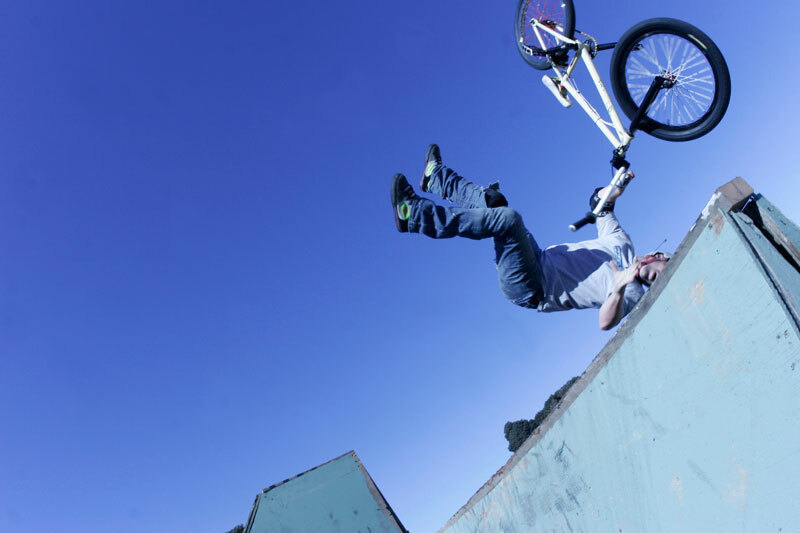 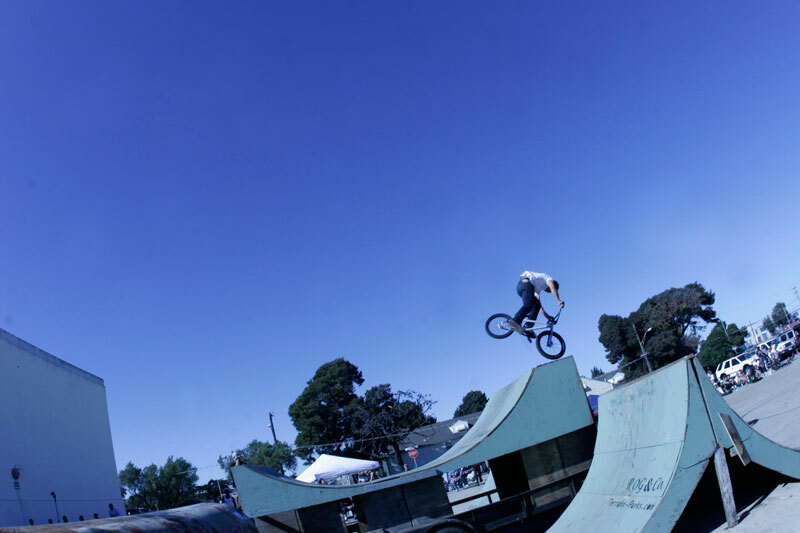 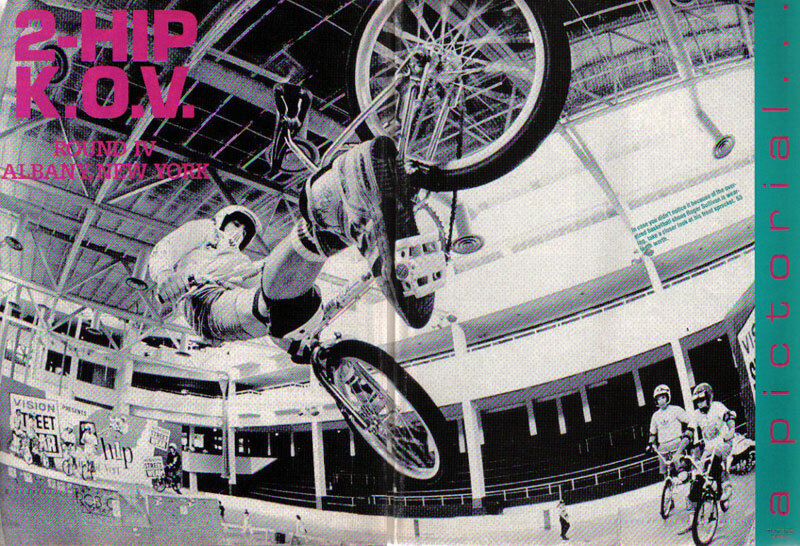 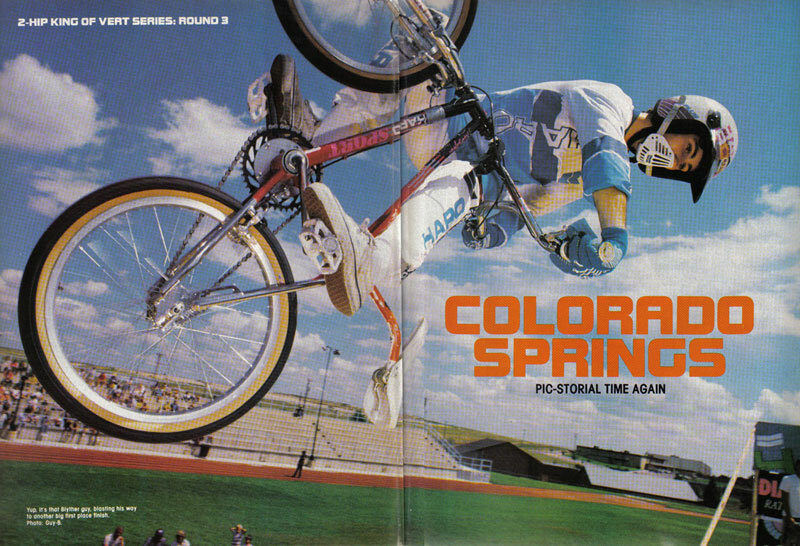 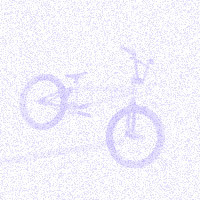 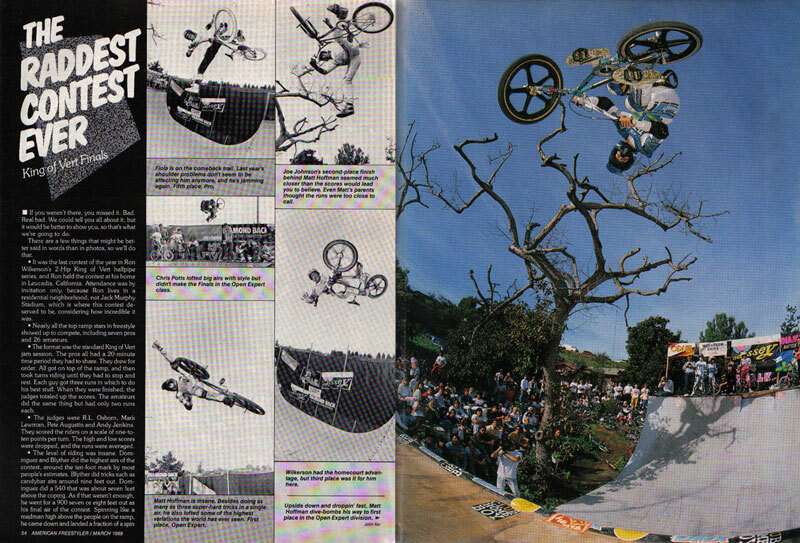 Mark Losey, RIDE BMX. 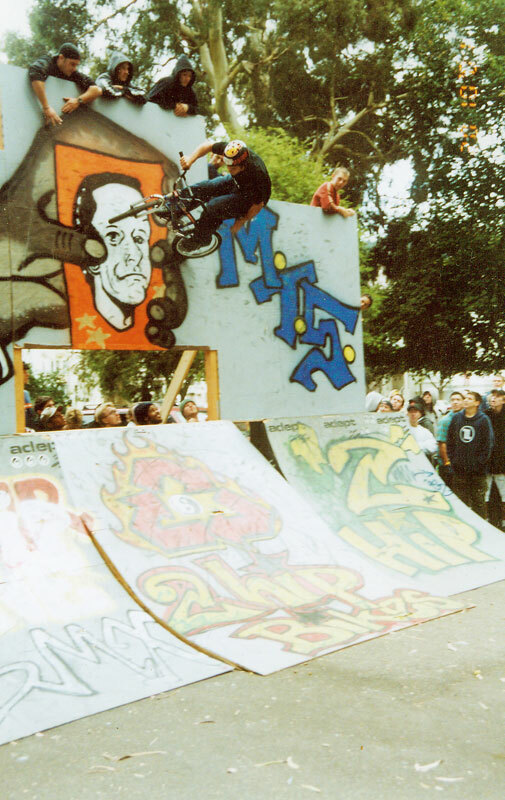 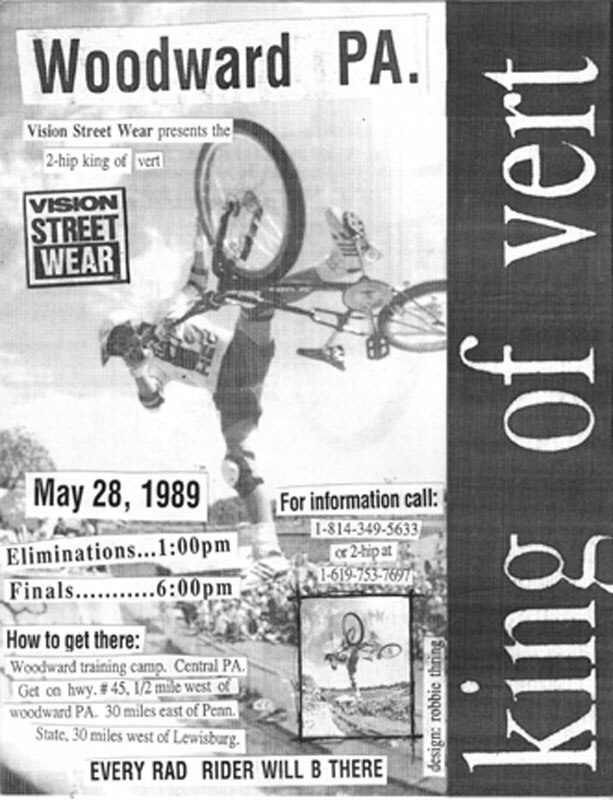 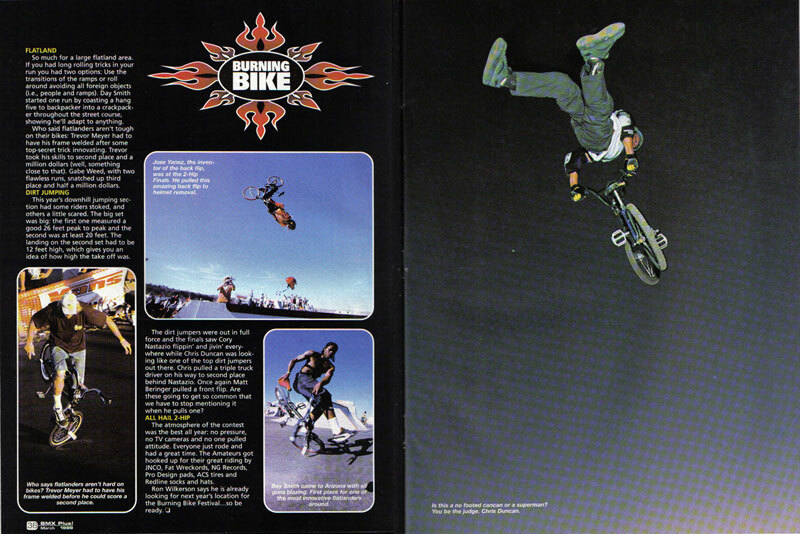 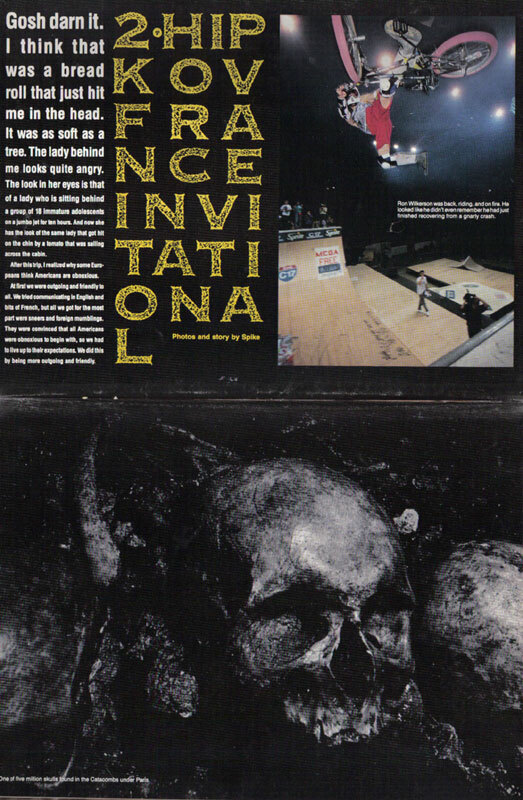 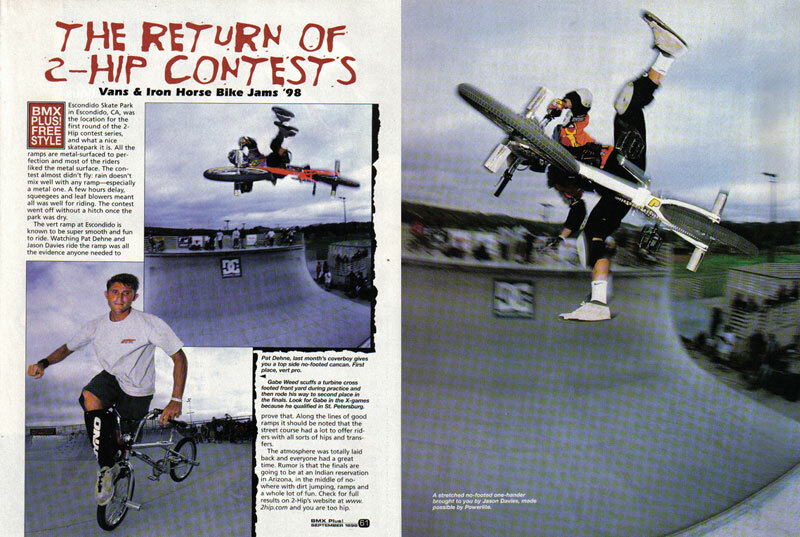 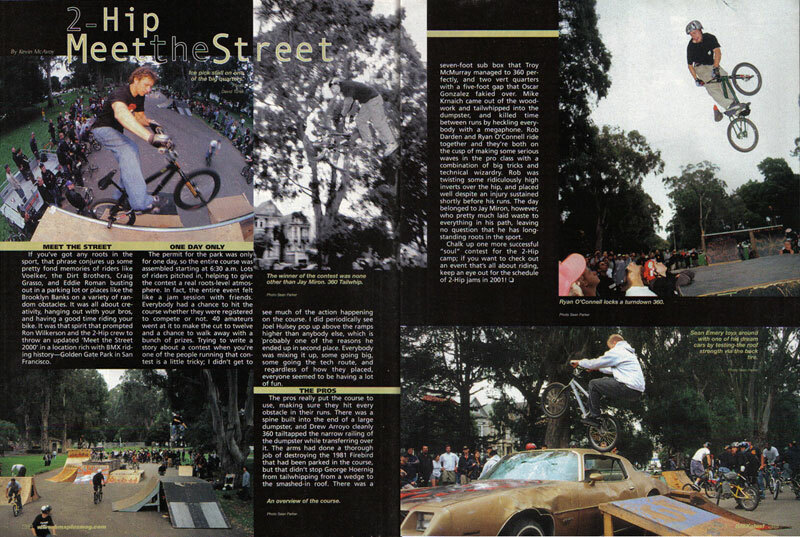 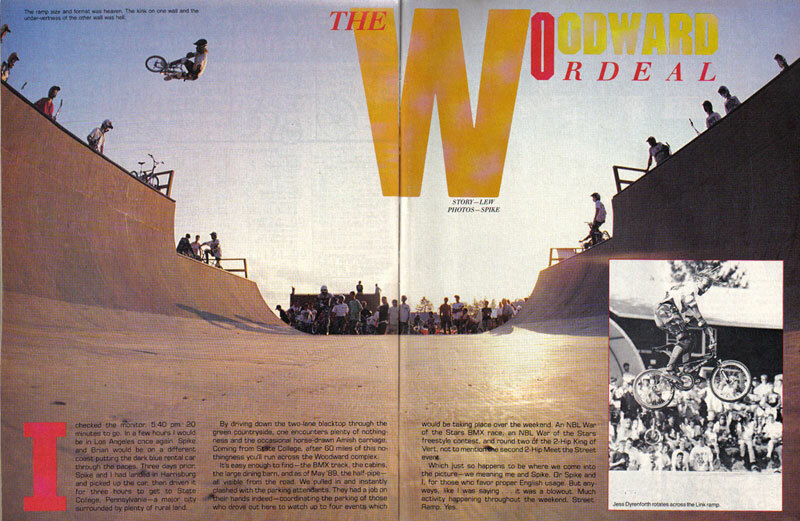 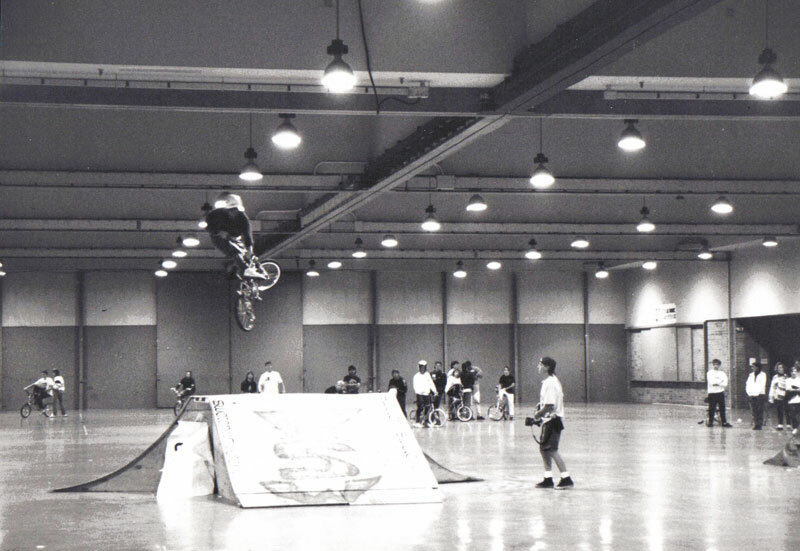 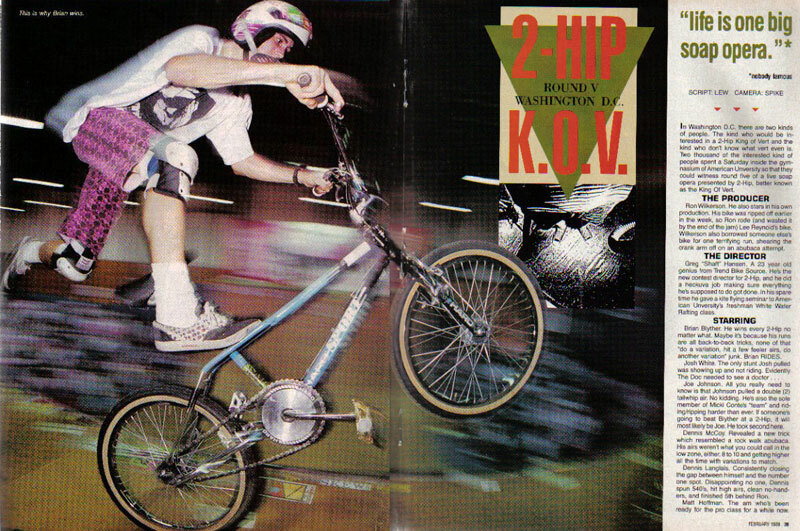 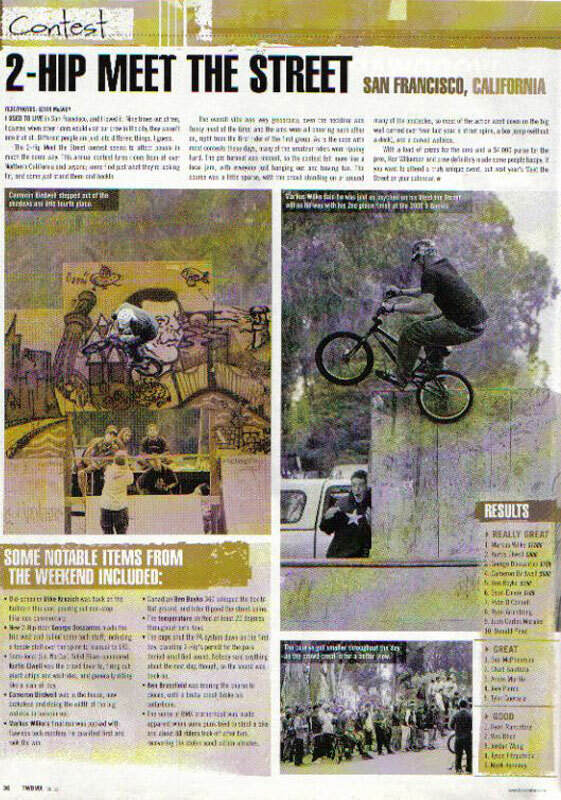 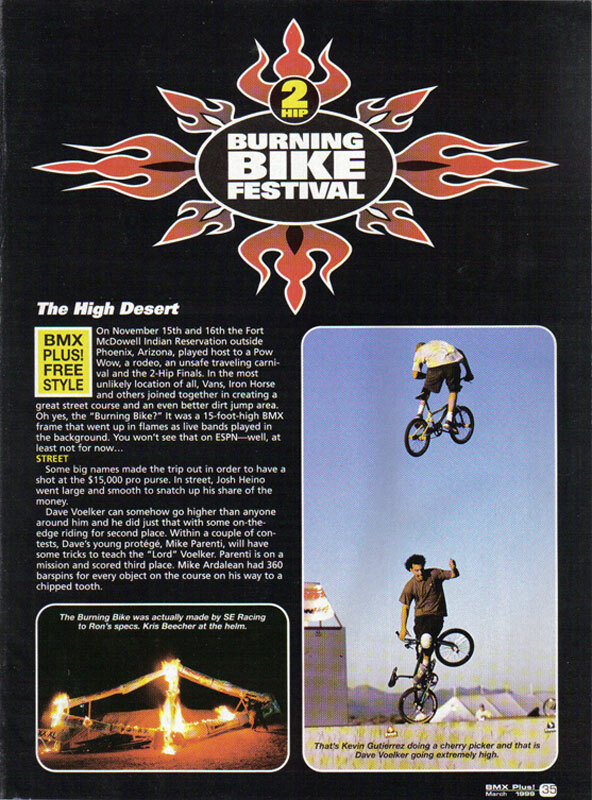 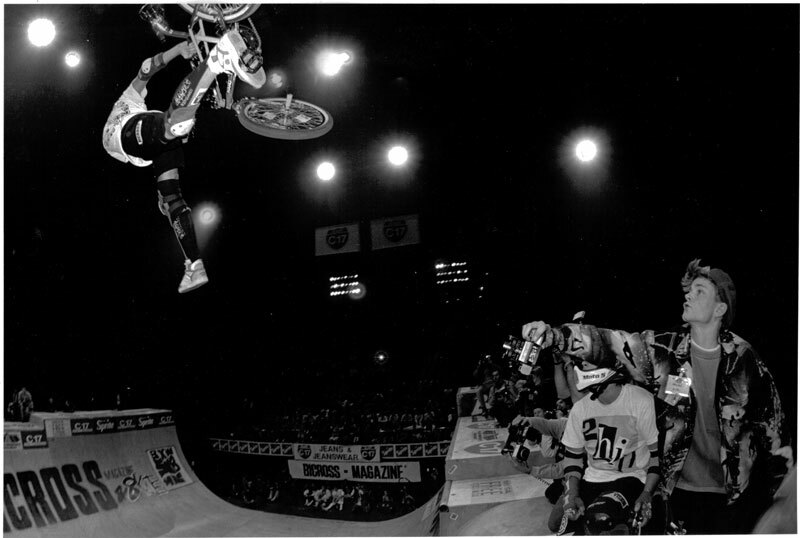 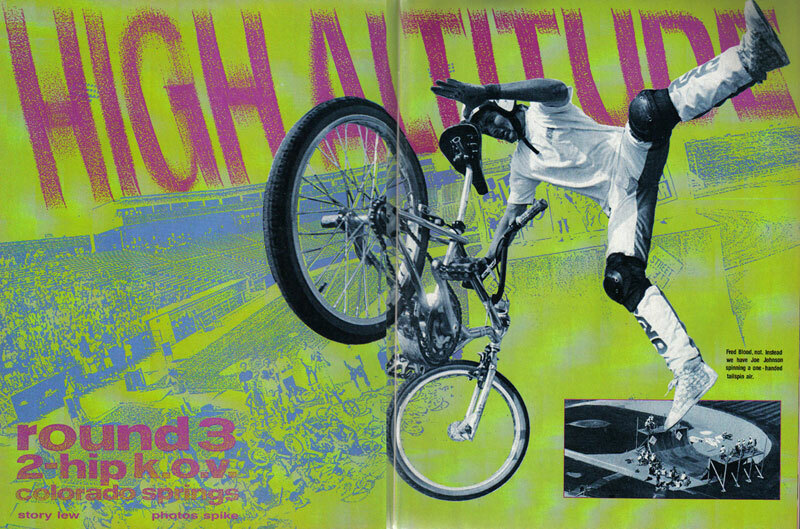 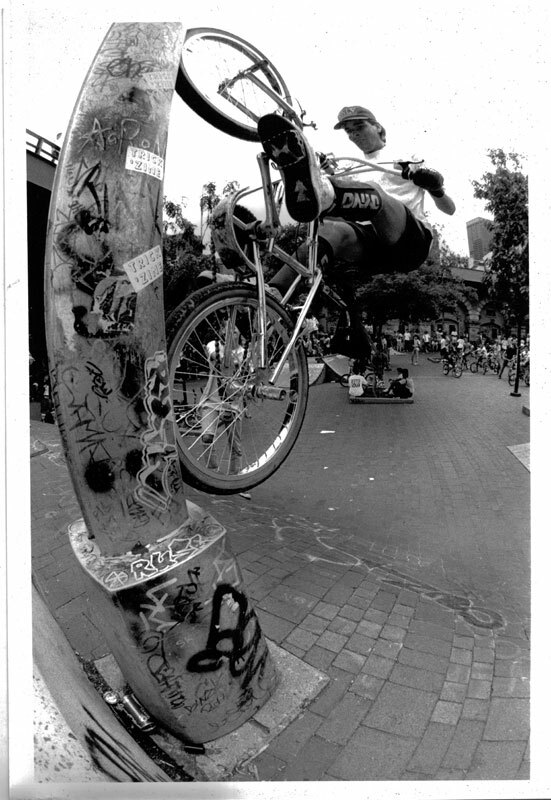 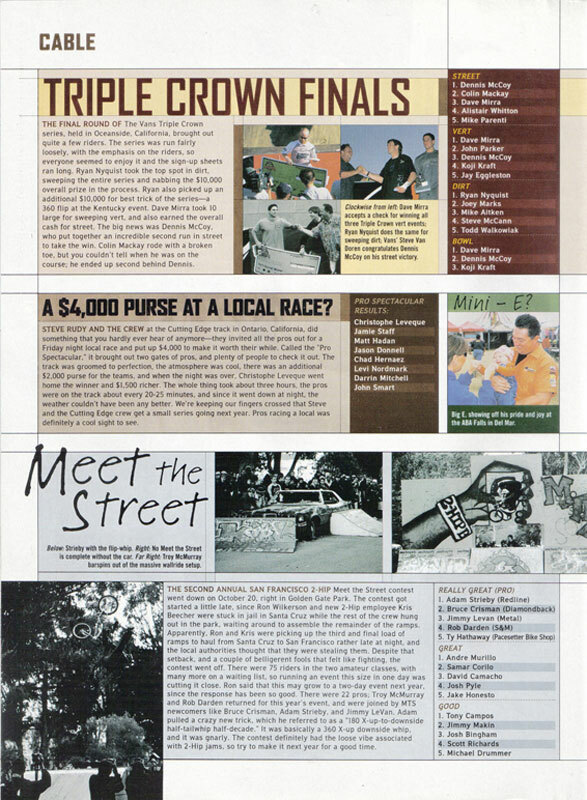 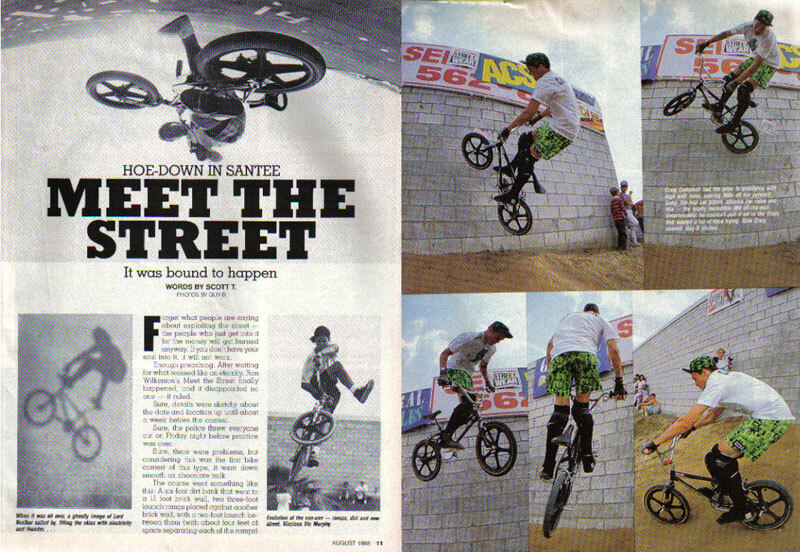 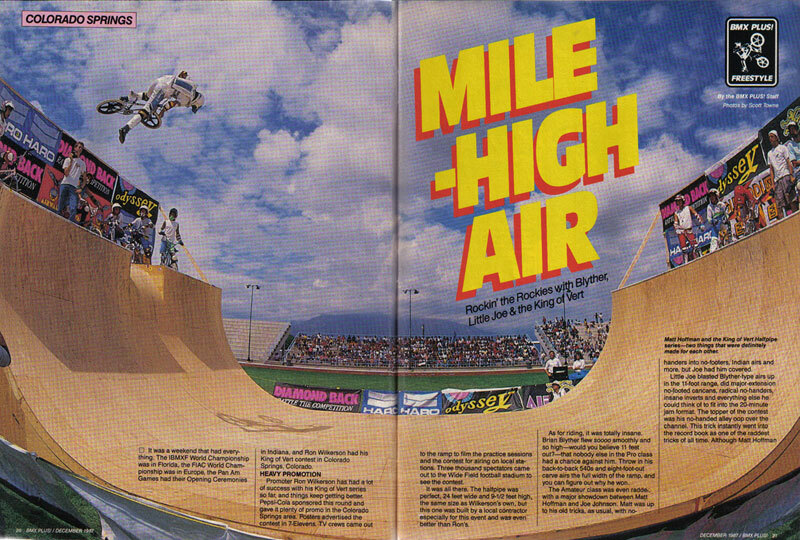 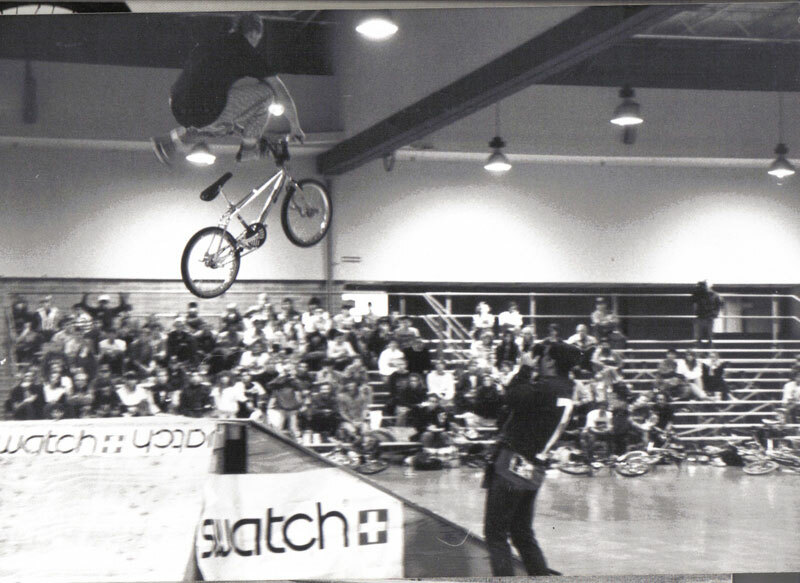 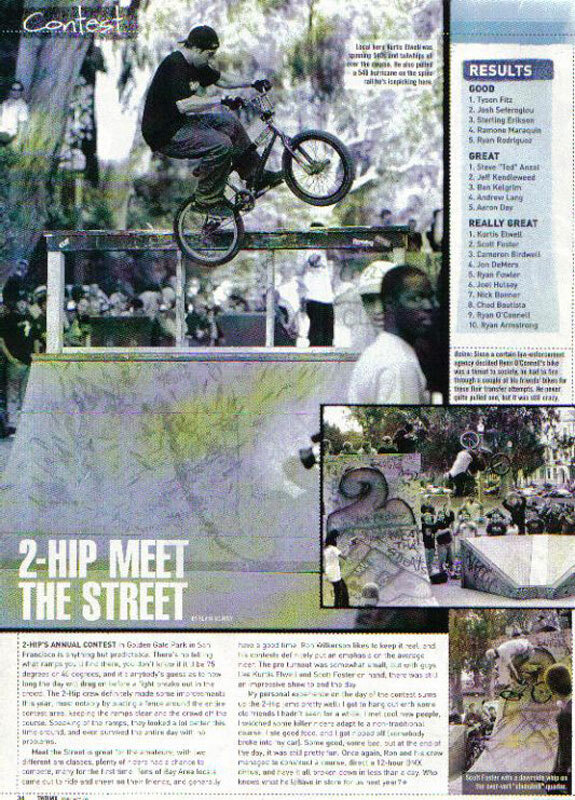 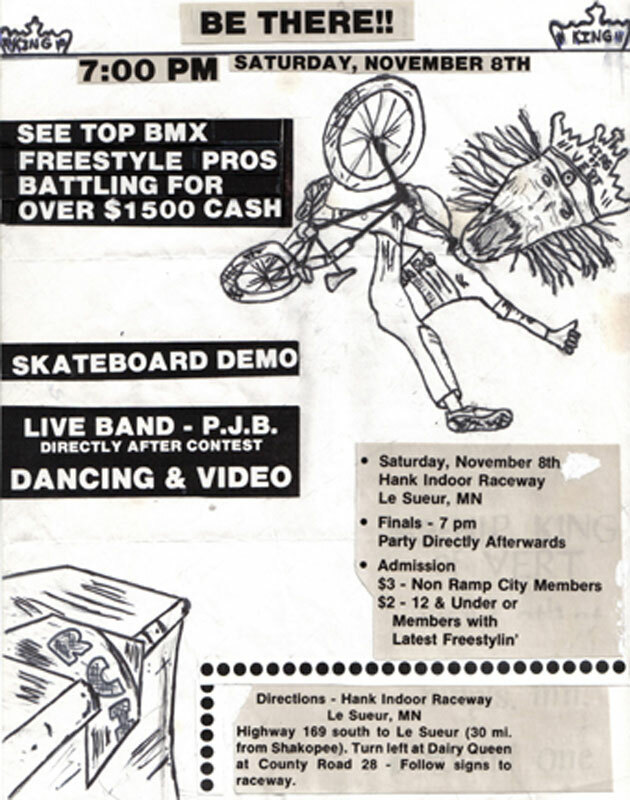 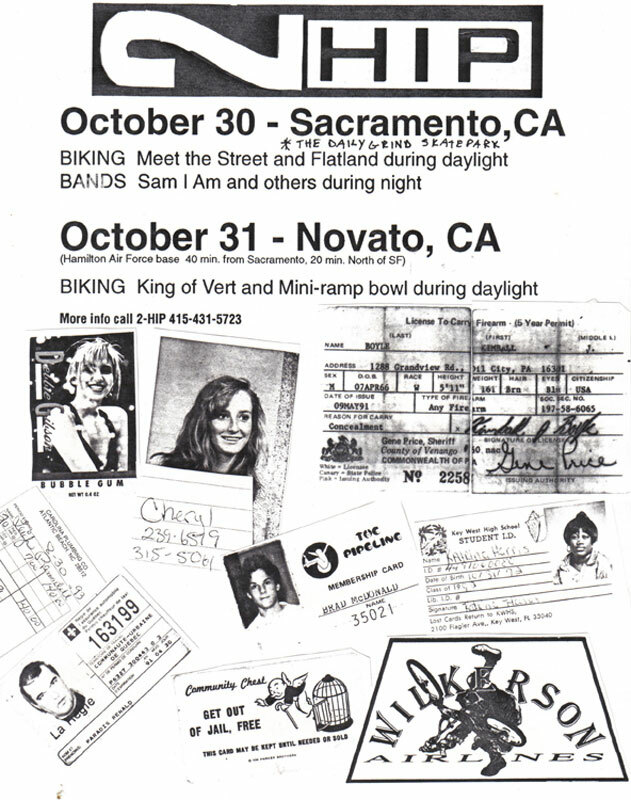 NOVEMBER 14-15, 1998 Phoenix, AZ—KOD+PARK+FLATLAND— BURNING BIKE #1— A SIMPLY UNBELIEVABLE EVENT! 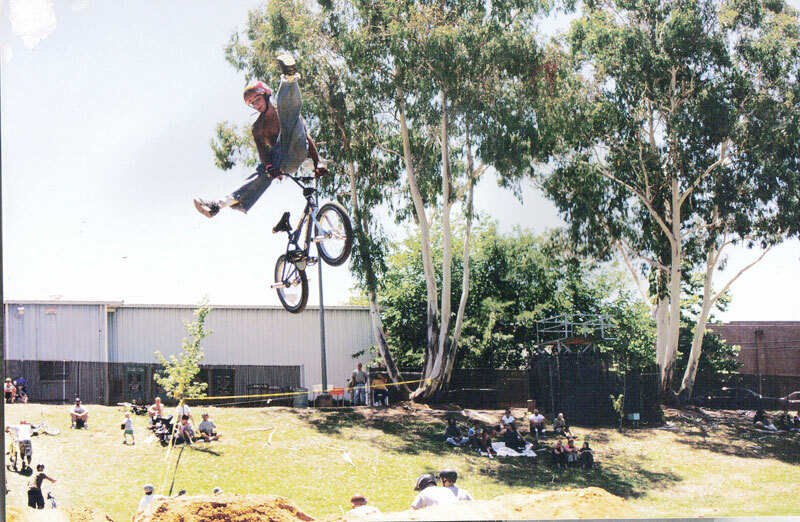 Dirt jumping at the fairgrounds. 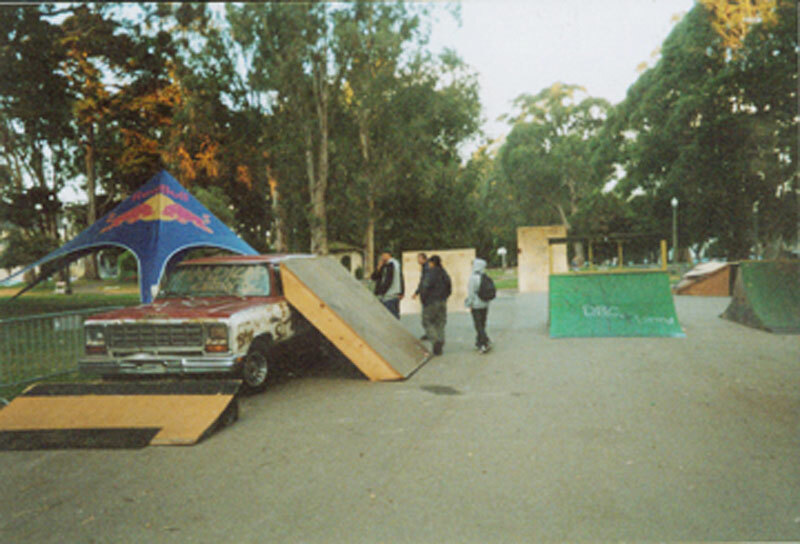 Nice starting hill leading to the 4pac. 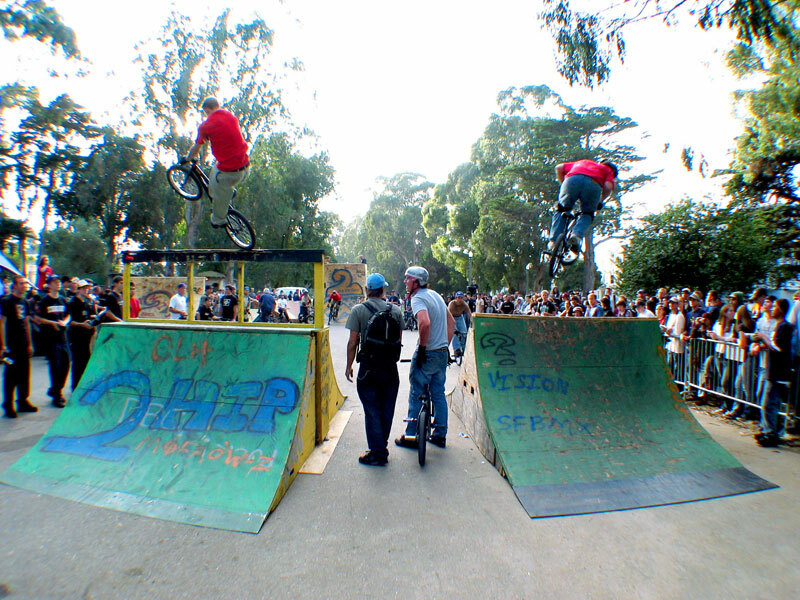 Chengaworld BMX Park is the host!!! 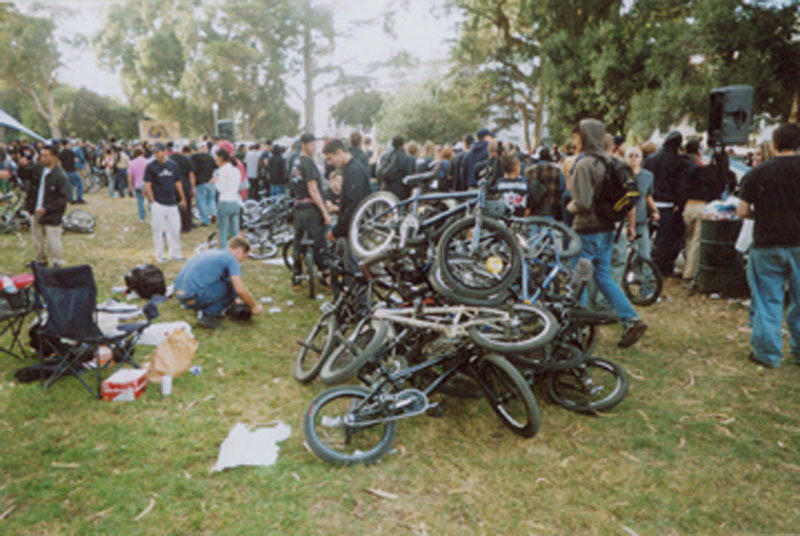 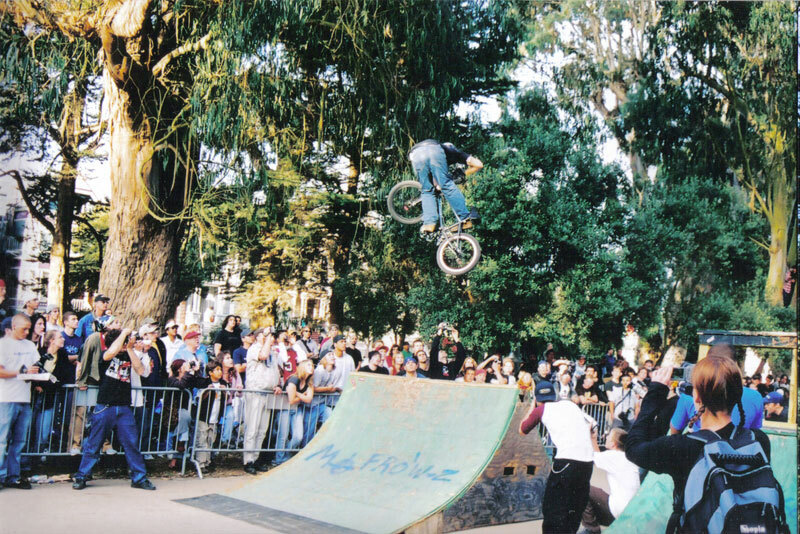 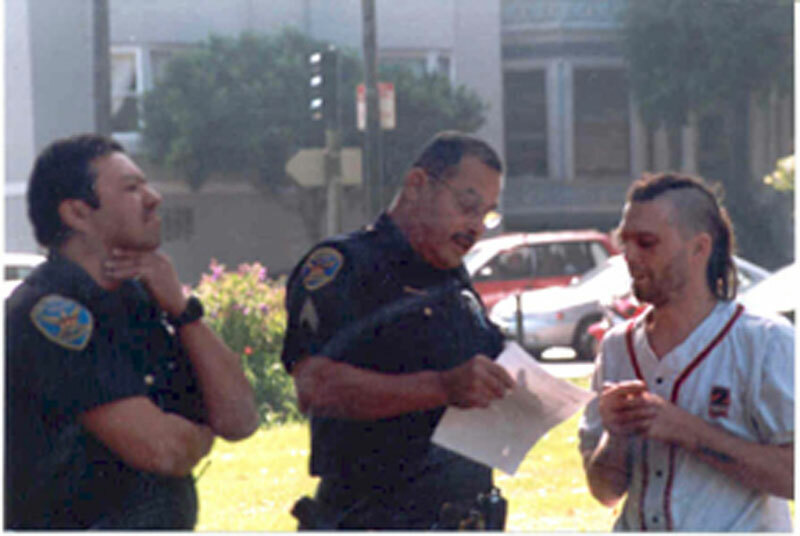 Golden Gate Park—Mayhem in THE city. 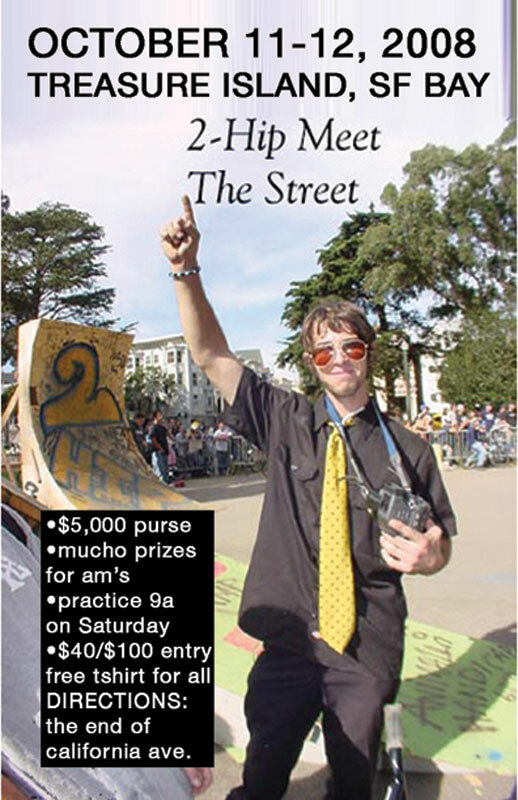 Perfect location for an event in the Haight, downtown SF, and a nice gold Camaro to ride. 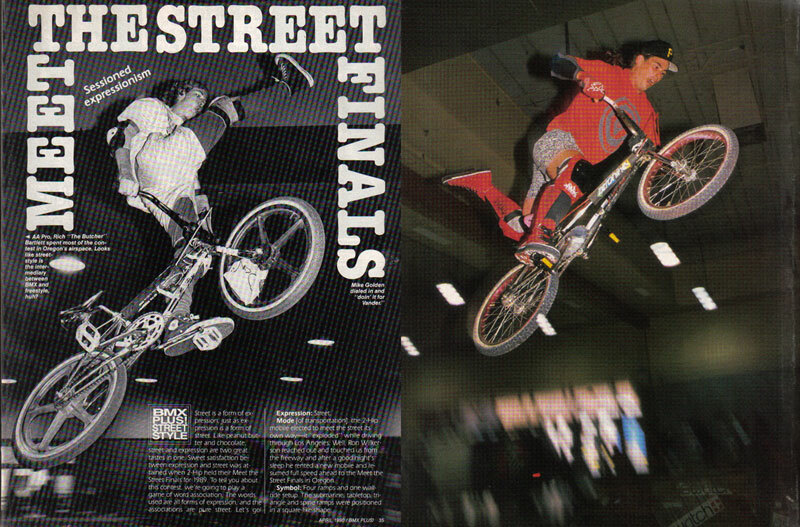 Jay Miron and Troy McMurray kicked down... "...we need more amateur comps for kids that ride...That's why I came here. 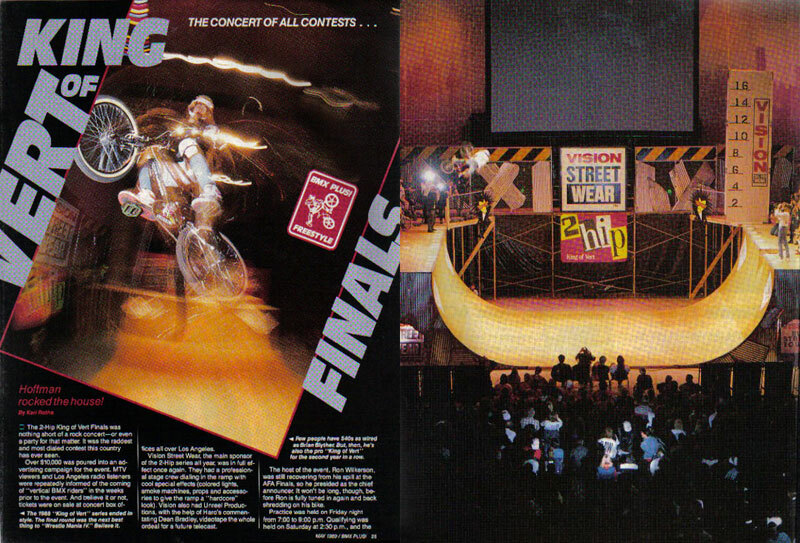 I want to represent a total BMX comp, like fun ones at least." 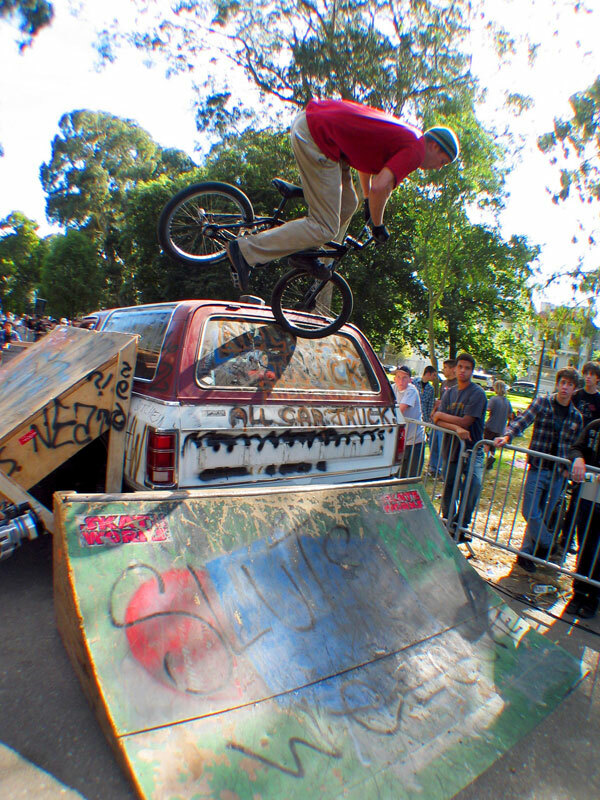 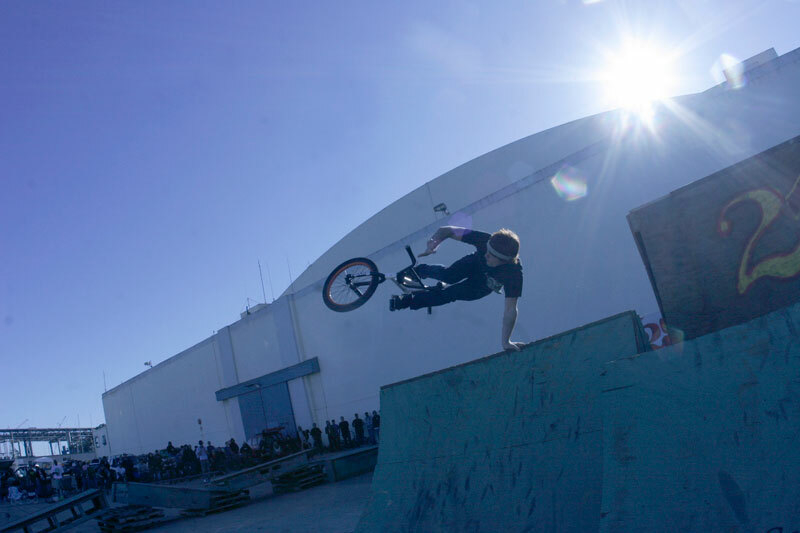 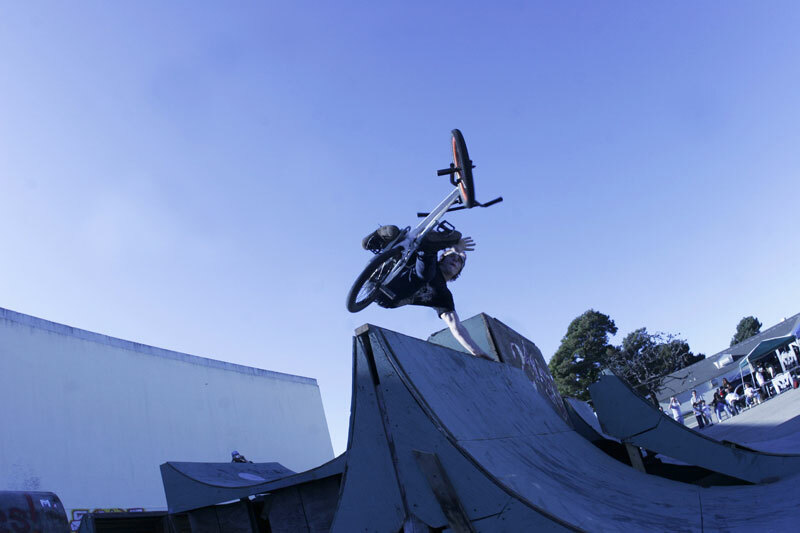 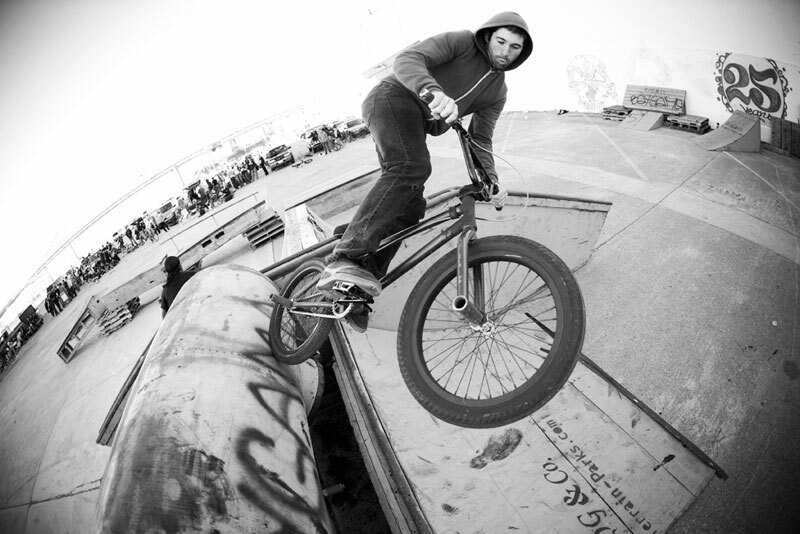 Jay Miron, RIDE BMX. 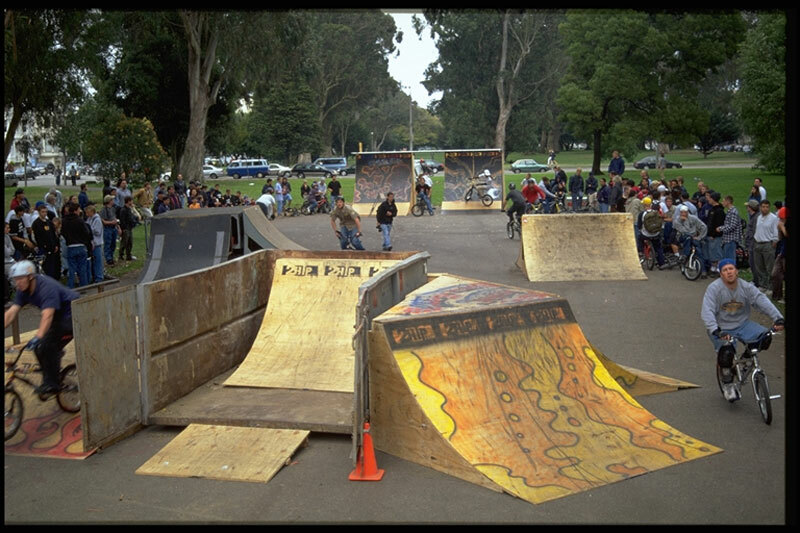 "the event was TOO big for the location," said the City folk. 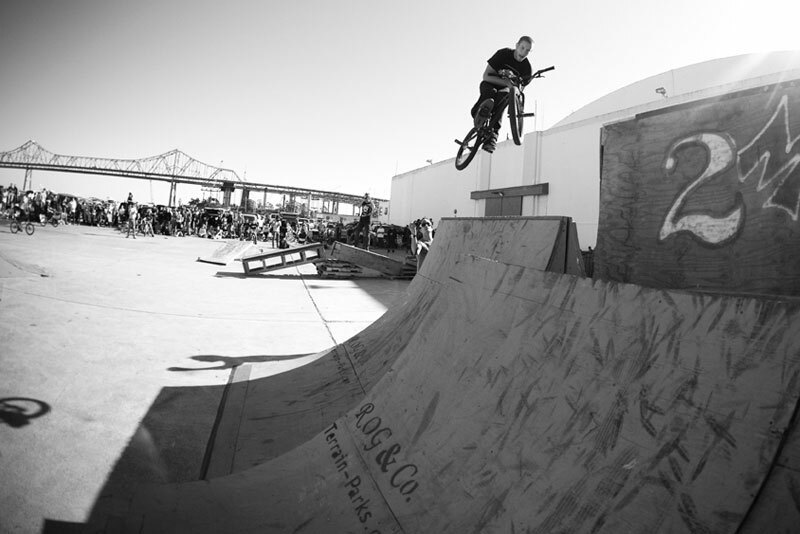 Kurtis Elwell conquered, and welcome back Cameron Birdwell! 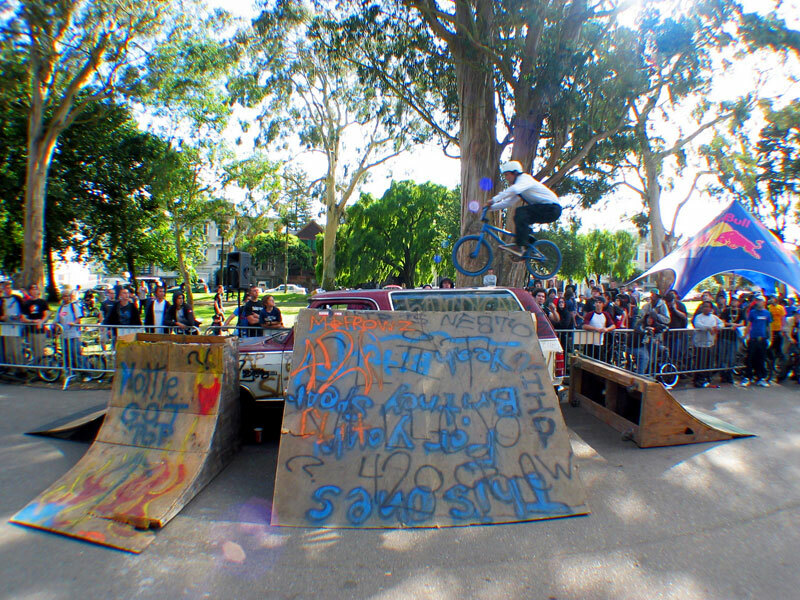 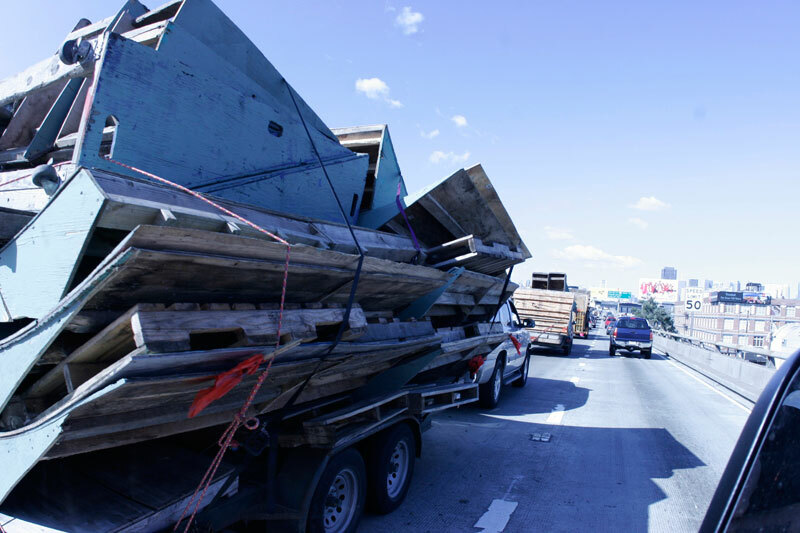 "The 2hip crew definitely made some improvements this year, most notably by placing a fence around the entire contest area...Speaking of ramps, they looked a lot better this time around, surviving the entire day with no problems." 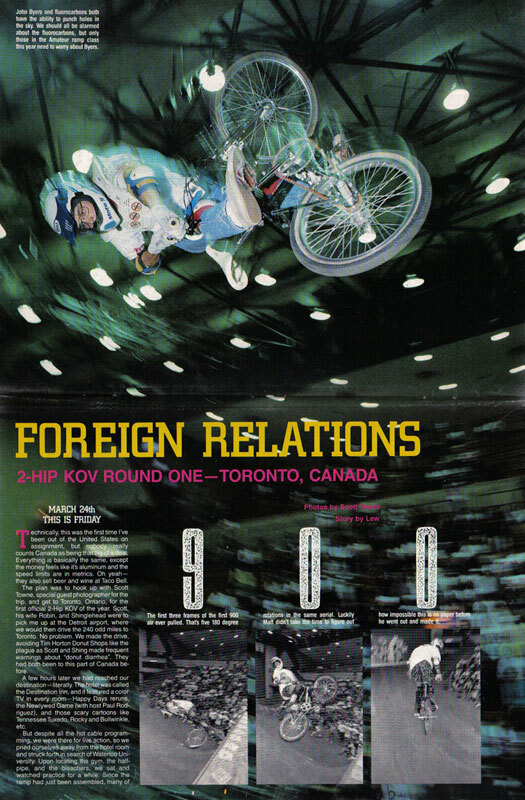 Kevin McCavoy, TRANSWORLD BMX, giving the no-frills report.